From the 15th March 2019 to 9th October 2019. This is a Must See! 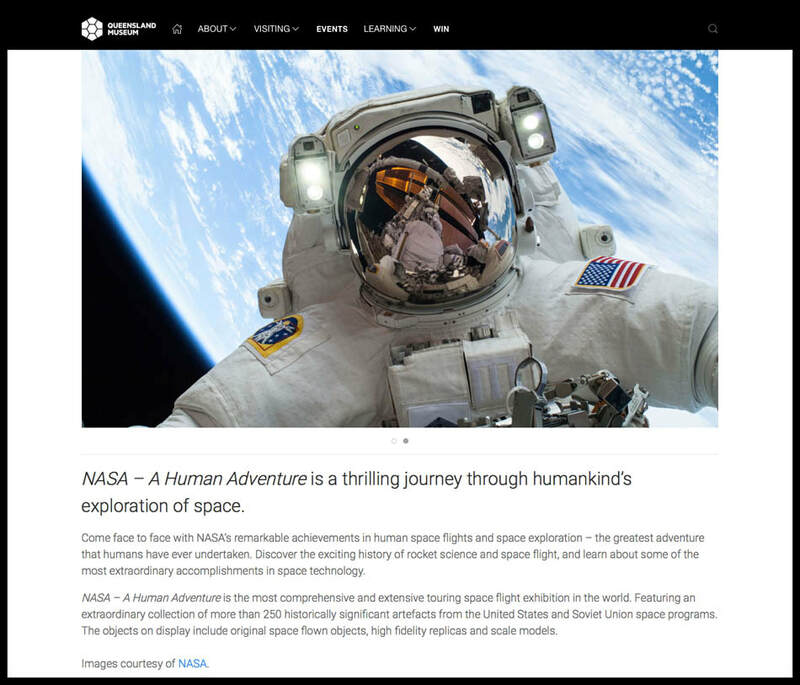 NASA – A Human Adventure is a thrilling journey through humankind’s exploration of space. 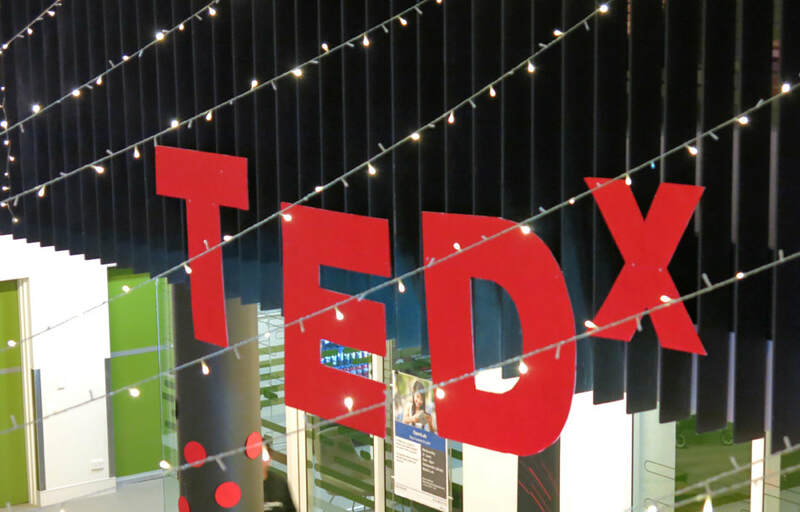 Hailed by The New York Times as ‘a new cultural institution’, the World Science Festival – founded by renowned Physicist Professor Brian Greene and Emmy award-winning journalist Tracy Day – has been held annually in New York for more than a decade. 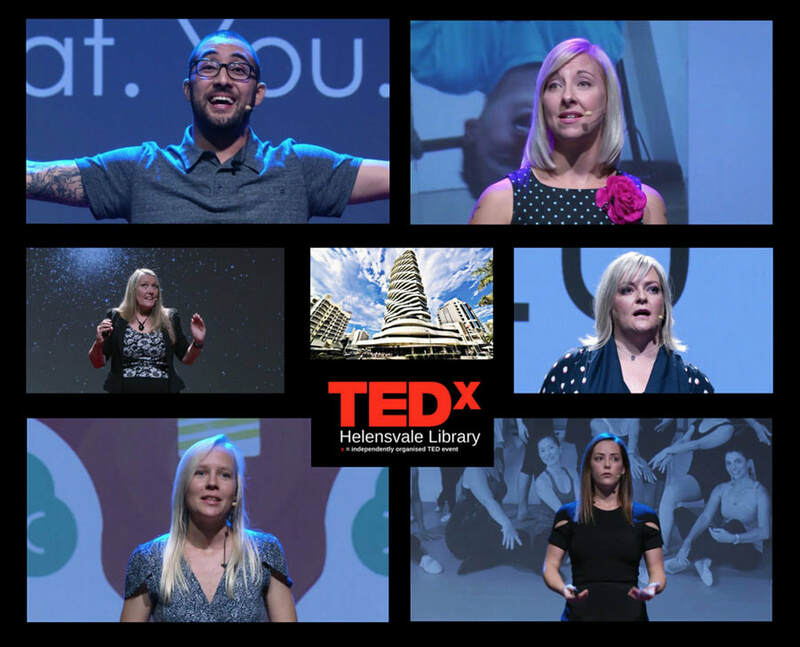 World Science Festival explores and celebrates the entanglement of science and art through a curated program of thought-provoking conversations, inspiring theatrical and cinematic experiences, interactive workshops and engaging demonstrations. 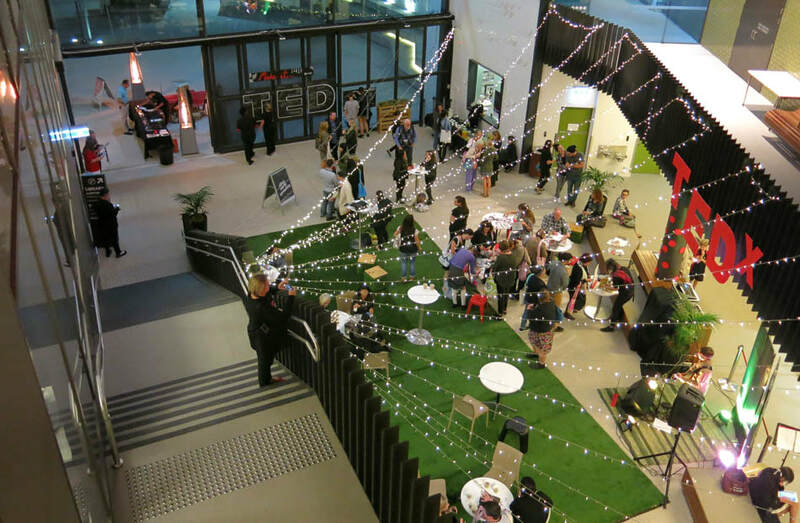 Queensland Museum Network has secured the exclusive licence to host World Science Festival in the Asia Pacific from 2016-21. 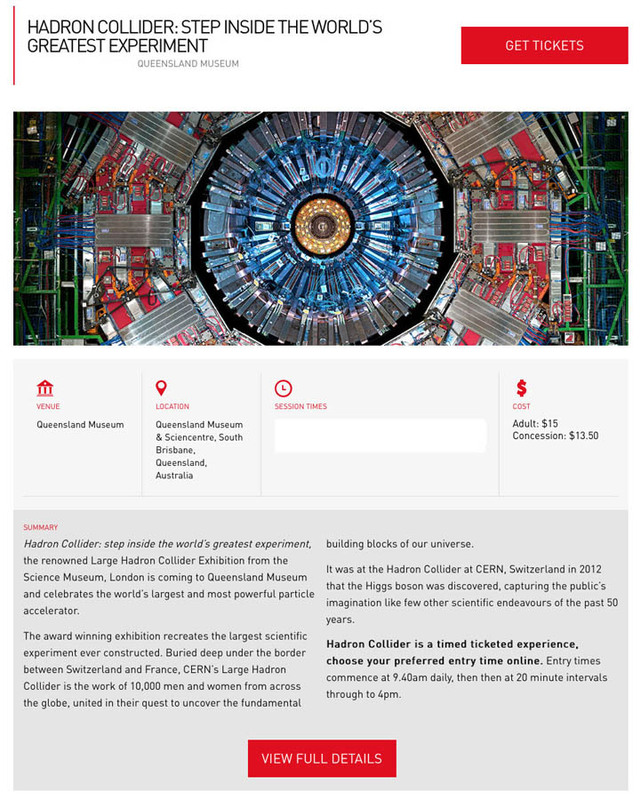 The only global extension of this hugely popular initiative, World Science Festival Brisbane reinforces Queensland Museum’s position as a leader in Science, Technology, Engineering and Mathematics (STEM) education and engagement. 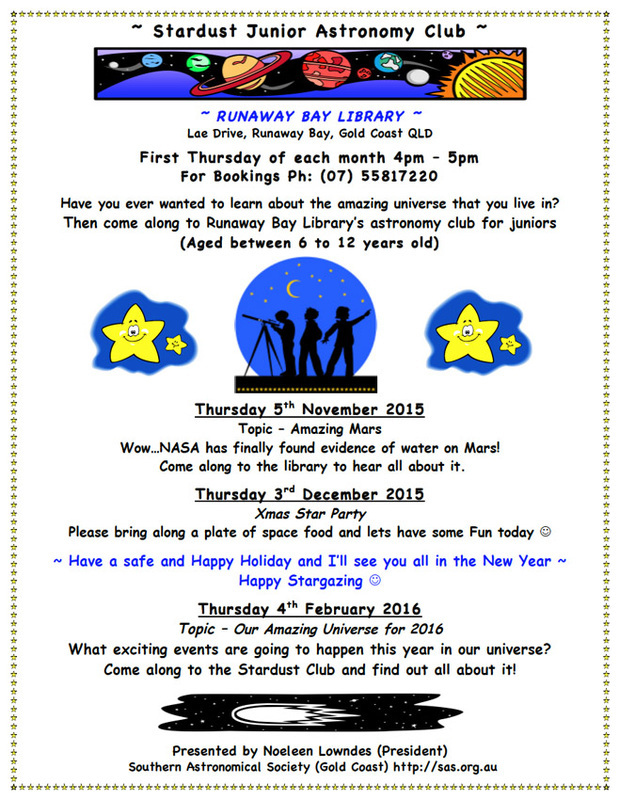 ​Happy New Year to all our budding little astronomers from the Stardust Junior Astronomy Club, we have another thrilling year ahead of us in learning all about this amazing universe that we live in and hearing all about the exciting exploration of our Solar System by the different space agencies from around the world. 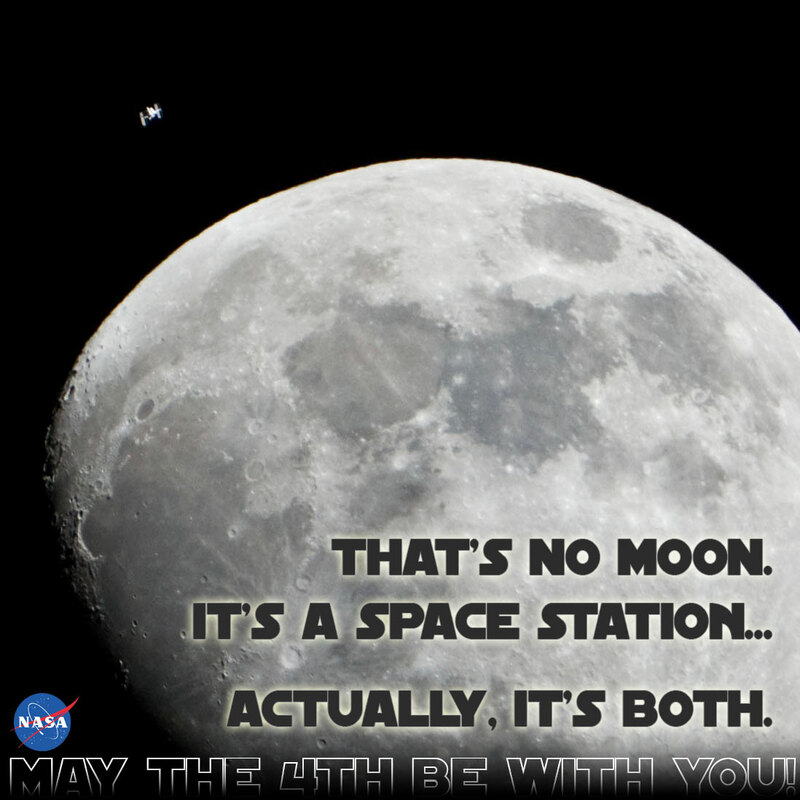 It’s not only NASA now soaring ahead with discoveries, but also Europe’s (ESA), Japan’s (JAXA) and of course now China (CASC) which has just recently landed a spacecraft with a Rover on the far side of the Moon. 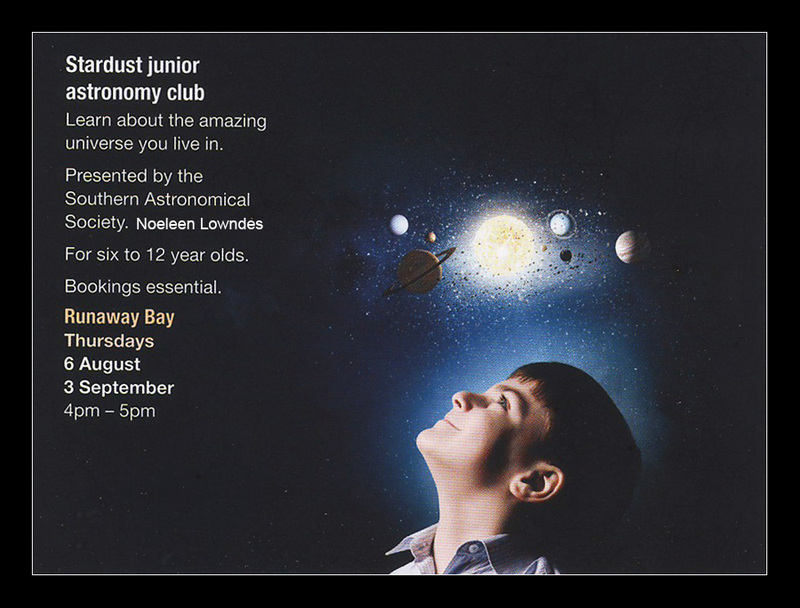 Wow, so many things happening out there in space and all the children that come to the Stardust club will hear all about it. NASA Successfully Lands InSight on Mars...Amazing! 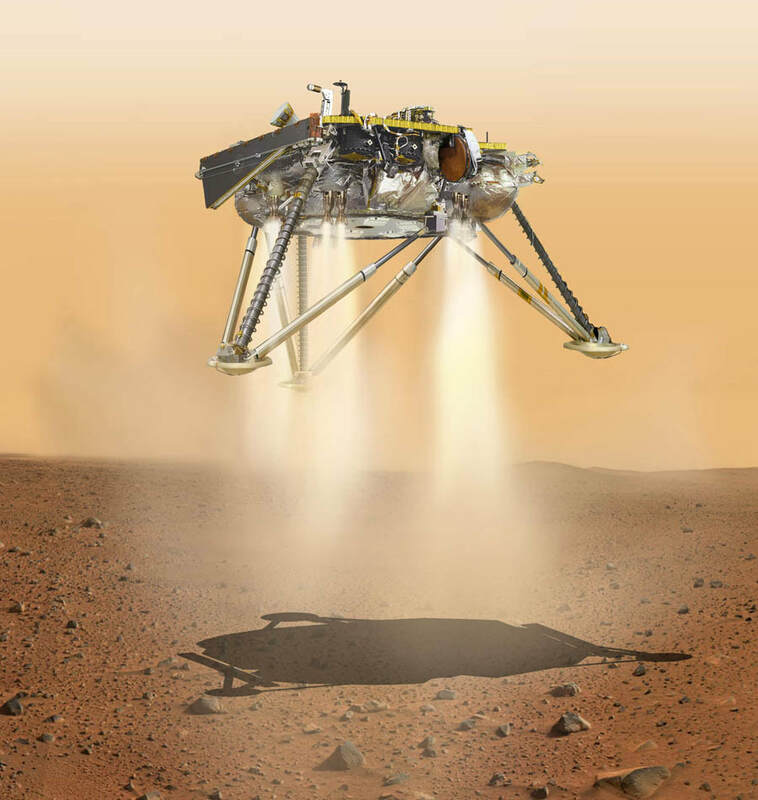 NASA's Interior Exploration using Seismic Investigations, Geodesy and Heat Transport (InSight) lander successfully touched down on the Red Planet after an almost seven-month, 300-million-mile (458-million-kilometer) journey from Earth. 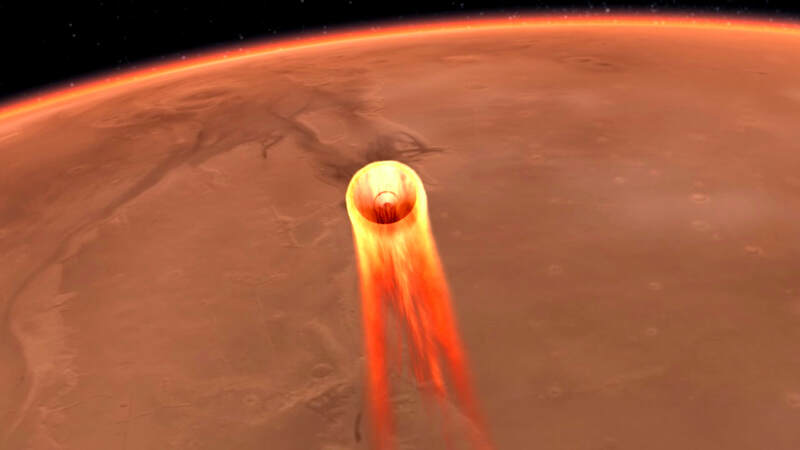 "We hit the Martian atmosphere at 12,300 mph (19,800 kilometers per hour), and the whole sequence to touching down on the surface took only six-and-a-half minutes," said InSight project manager Tom Hoffman at NASA’s Jet Propulsion Laboratory. "During that short span of time, InSight had to autonomously perform dozens of operations and do them flawlessly – and by all indications that is exactly what our spacecraft did." 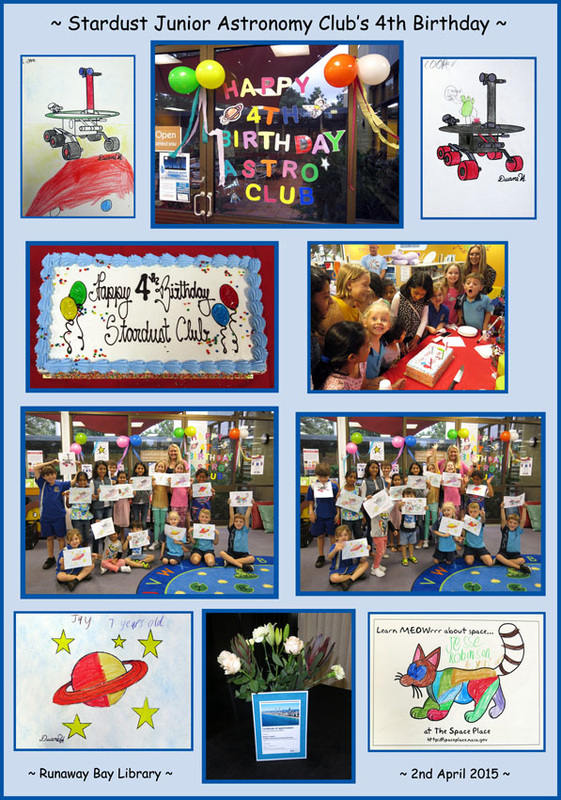 Did you Sent Your Name to Mars! 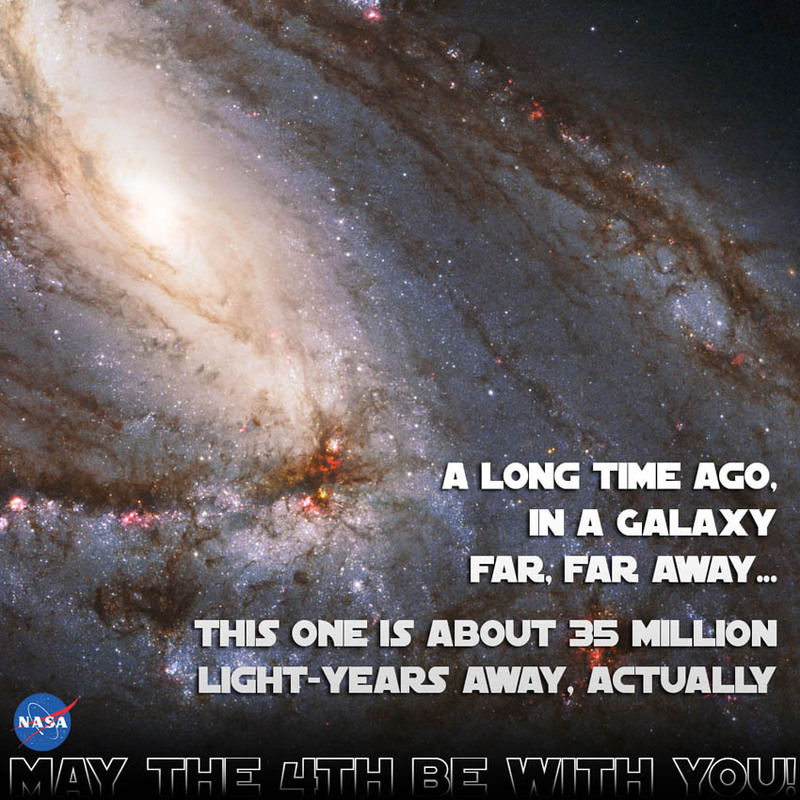 If you did, then you are landing on the dusty red planet in just a few days time…Yay! NASA's Mars Interior Exploration using Seismic Investigations, Geodesy and Heat Transport (InSight) spacecraft is on track for a soft touchdown on the surface of the Red Planet on Nov. 26, the Monday after Thanksgiving. 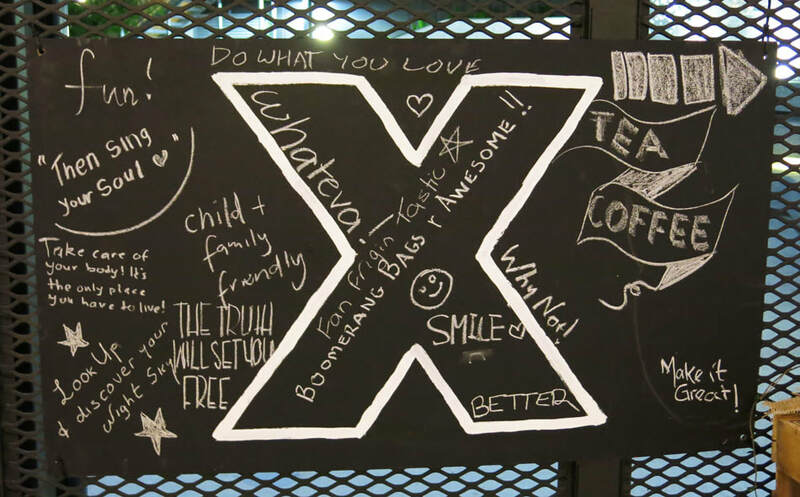 But it's not going to be a relaxing weekend of turkey leftovers, football and shopping for the InSight mission team. 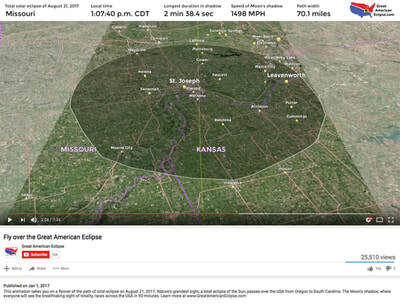 ​Engineers will be keeping a close eye on the stream of data indicating InSight's health and trajectory, and monitoring Martian weather reports to figure out if the team needs to make any final adjustments in preparation for landing, only five days away. Hold on tight, InSight ready to land on Mars …WooHoo! 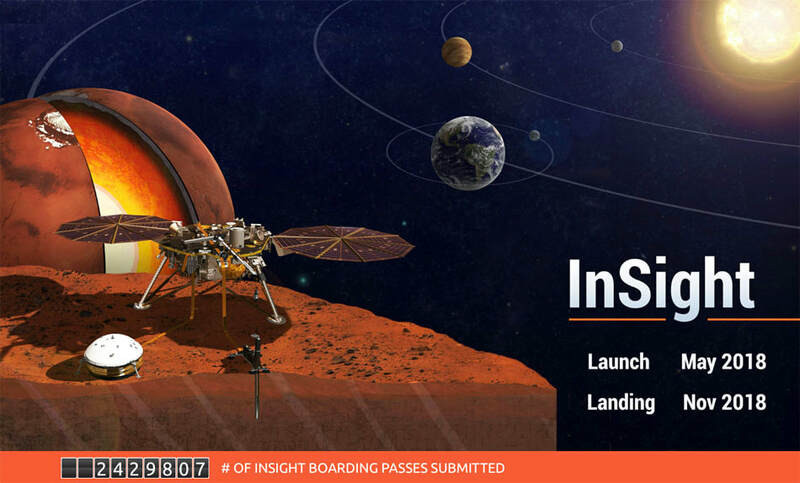 When NASA’s InSight descends to the Red Planet on Nov. 26, 2018, it is guaranteed to be a white-knuckle event. 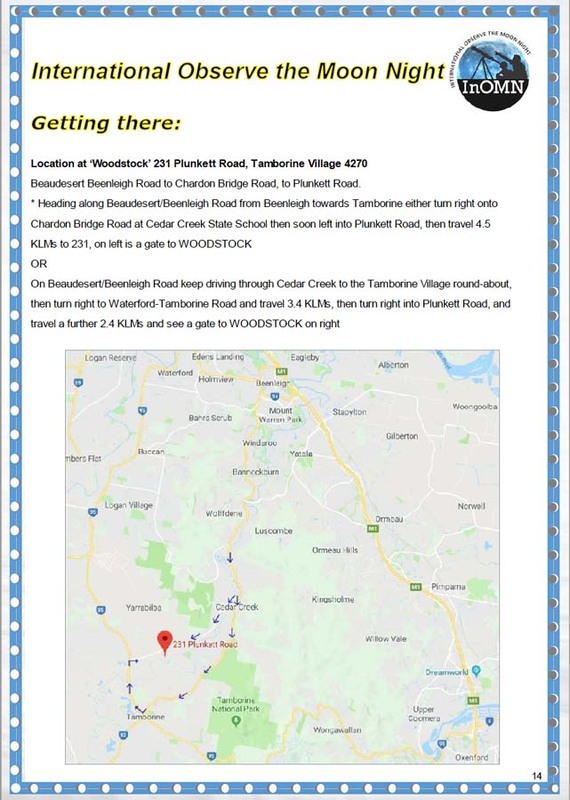 Saturday, 20 October at ‘Woodstock’, 231 Plunkett Rd Tamborine in QLD. 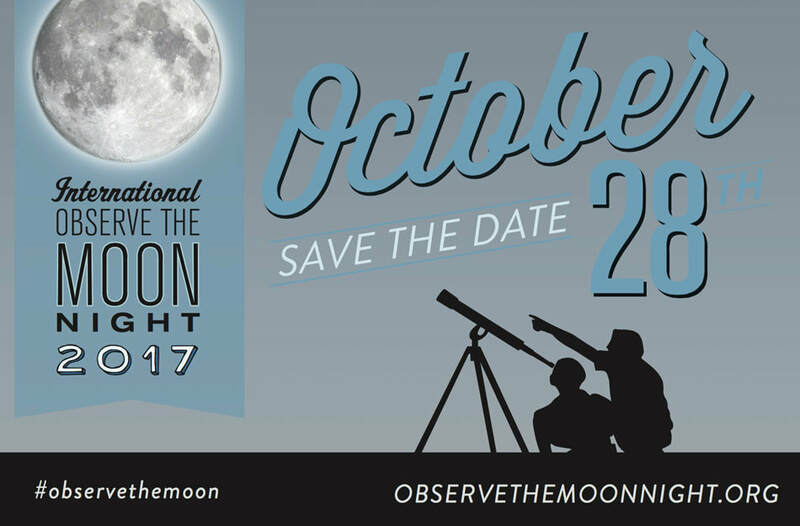 International Observe the Moon Night is a worldwide celebration of lunar science and exploration held annually since 2010. 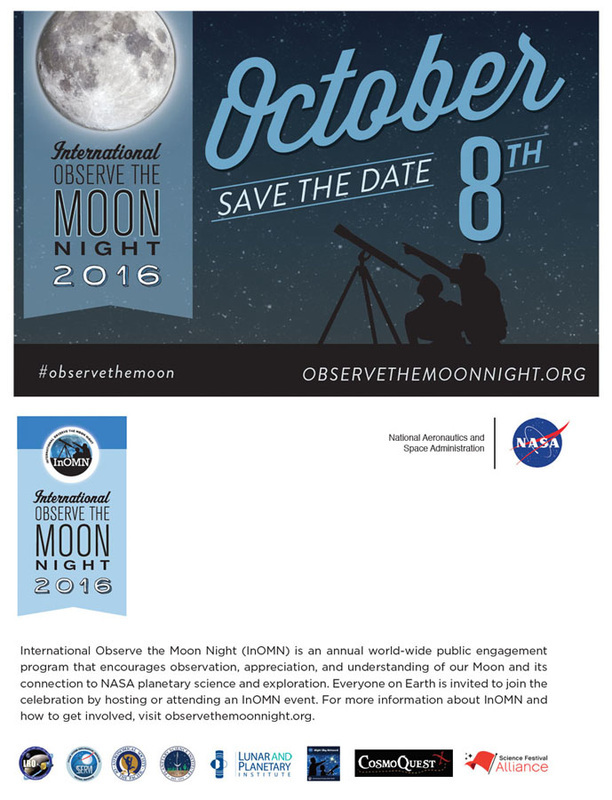 One day each year, everyone on Earth is invited to observe and learn about the Moon together, and to celebrate the cultural and personal connections we all have with our nearest neighbour. 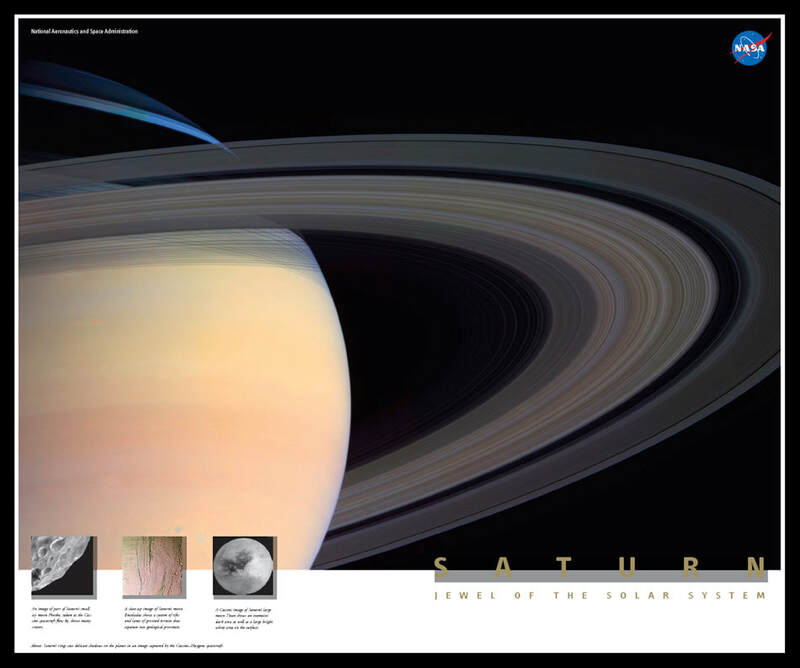 ​Saturn & Jupiter, the Moon & other celestial objects in the night sky through our large telescopes. 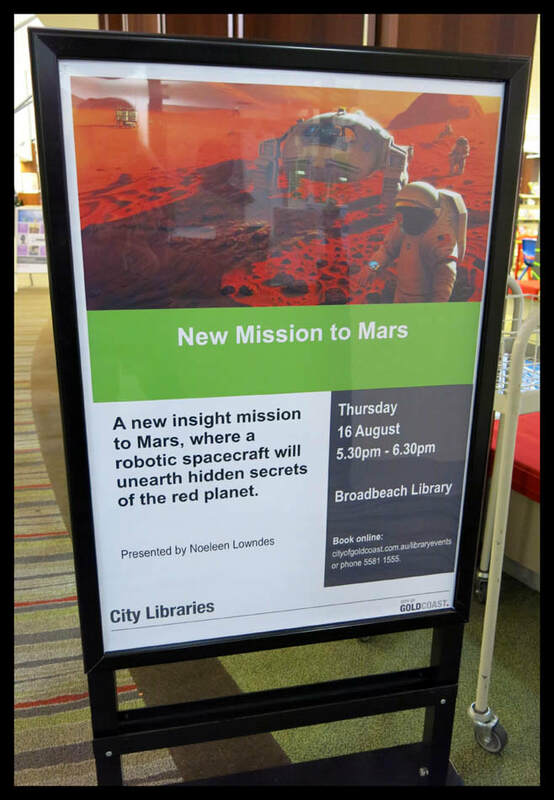 You are invited to come along to the Broadbeach Library on the Gold Coast for a presentation on NASA’s long time exploration of the red planet Mars and a update on the Cassini mission to Saturn. on the 26th November 2018. 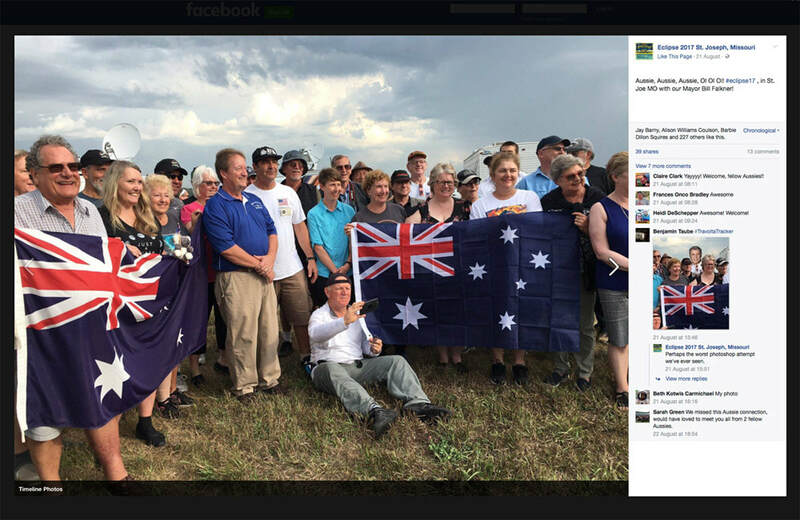 NASA’s Saturn Observation Campaign Member here in Australia for the past 15 years. 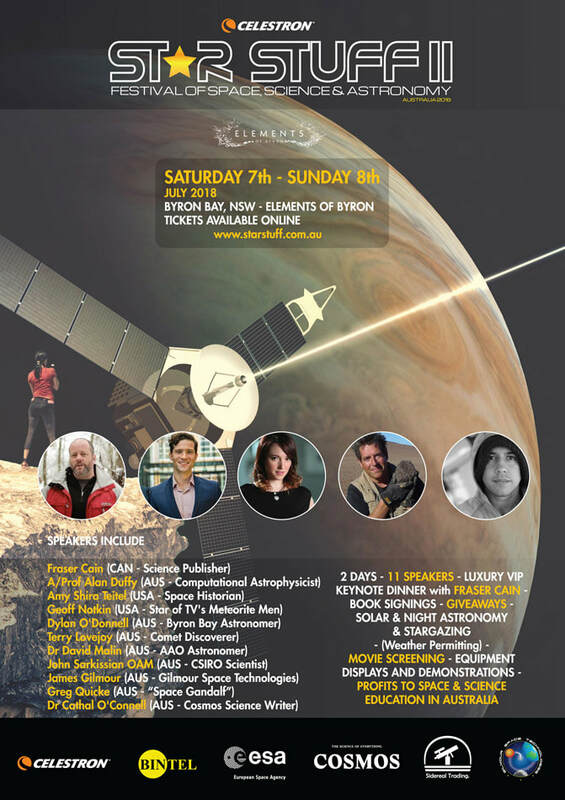 On the weekend there will be three renowned international guests attending, Fraser Cain (University Today) Geoff Notkin (Meteorite Expert) and Amy Shira Teitel (Space Historian). 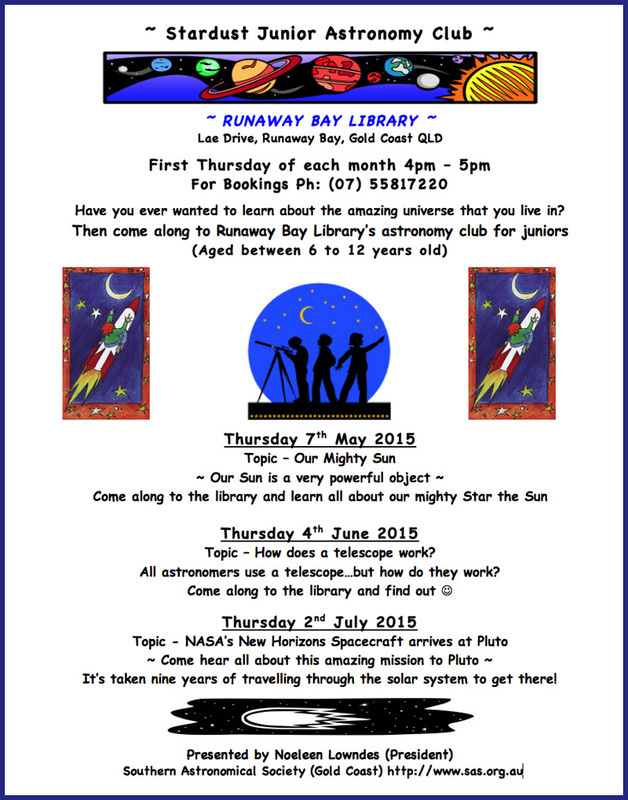 and our own local astronomer Dylan O’Donnell. will be on site to help with all your enquiries. 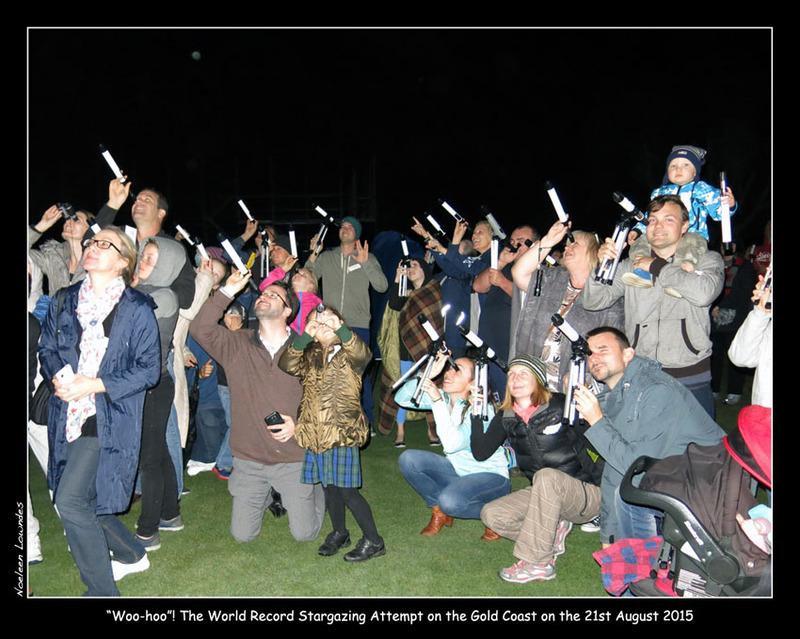 which includes 10 sessions over the two days, plus solar and night time viewings (weather permitting). 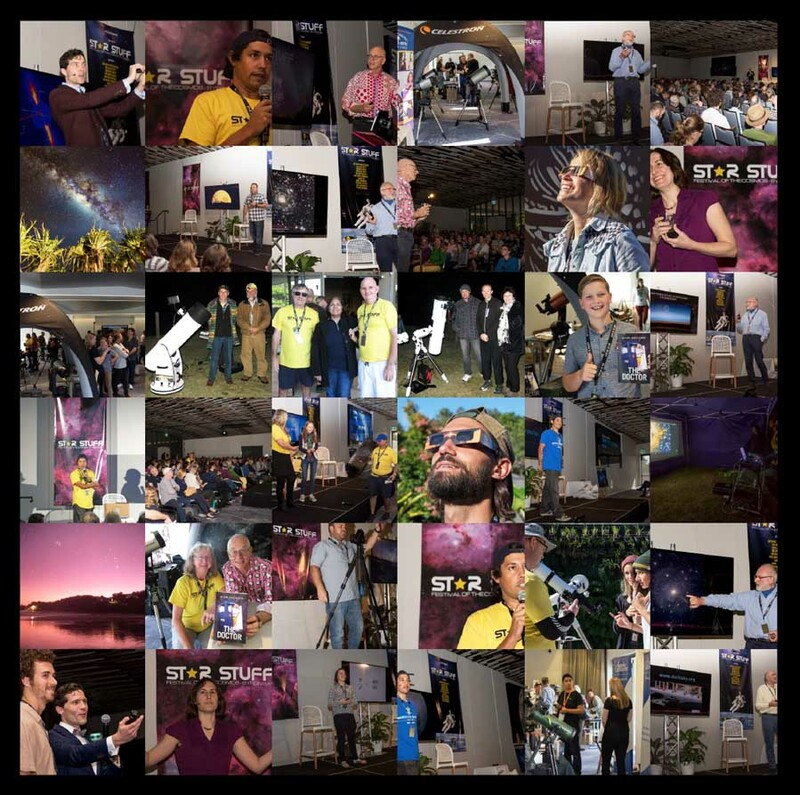 The VIP ticket, which costs $259, which includes 10 sessions over the two days, plus solar and night-time viewings (weather permitting). It also includes the special VIP dinner with Fraser Cain as the guest speaker for the evening. and the winner will be drawn at the dinner…what a wonderful prize! NASA’s InSight spacecraft to Mars is about to launch! Saturday's early-morning liftoff of the InSight Mars lander will mark the first time an interplanetary launch has originated from the West Coast. 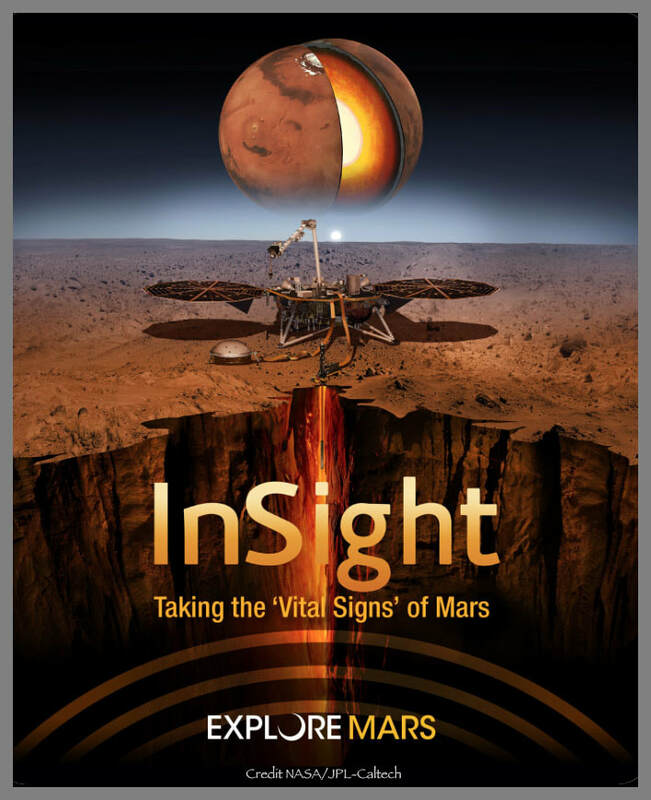 InSight is scheduled to launch from Vandenberg Air Force Base Space Launch Complex 3E on May 5, during a two-hour launch window opening at 4:05 a.m. PDT (7:05 a.m. EDT). InSight, for Interior Exploration using Seismic Investigations, Geodesy and Heat Transport, will launch aboard a United Launch Alliance Atlas V rocket on a journey to study the deep interior of Mars to learn how all rocky planets formed, including Earth and its Moon. 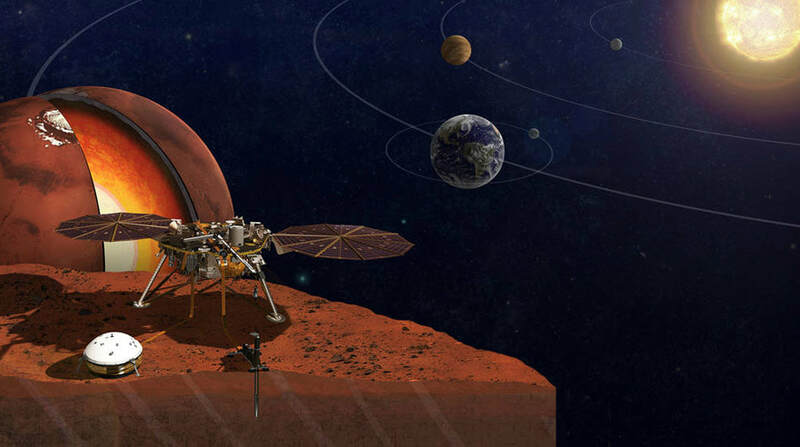 The lander's instruments include a seismometer to detect marsquakes, and a probe that will monitor the flow of heat from the planet's interior. In this image from May 3, 2018, United Launch Alliance (ULA) Atlas V rocket is seen with NASA's InSight spacecraft onboard. The Parker Solar Probe will provide new data on solar activity and make critical contributions to our ability to forecast major space-weather events that impact life on Earth. 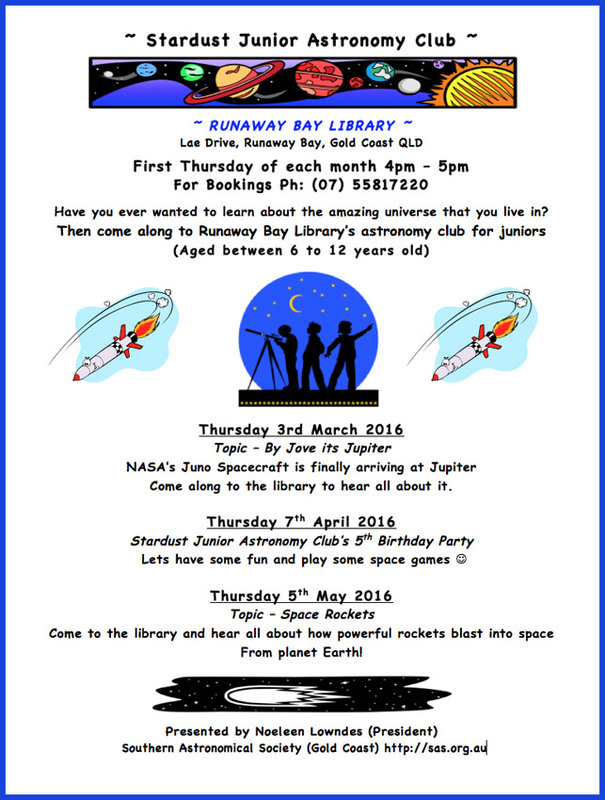 Calling all girls who are thinkers, tinkers, inventors, knowledge seekers and all round science fans! 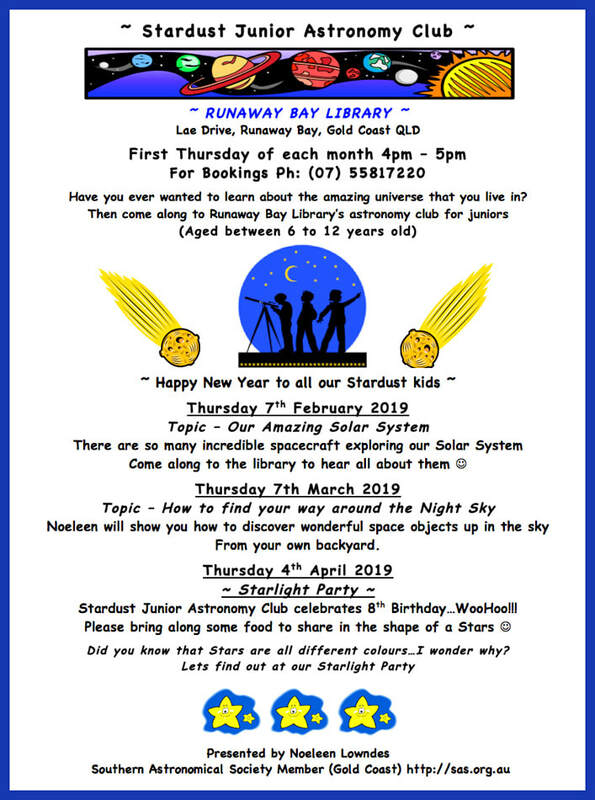 City Libraries are excited to launch Girls who STEAM, a dedicated program of monthly workshops just for girls, with exclusive activities across the sciences, technology, engineering and mathematics to inspire and unite girls aged 8 years and over in their passion for science. 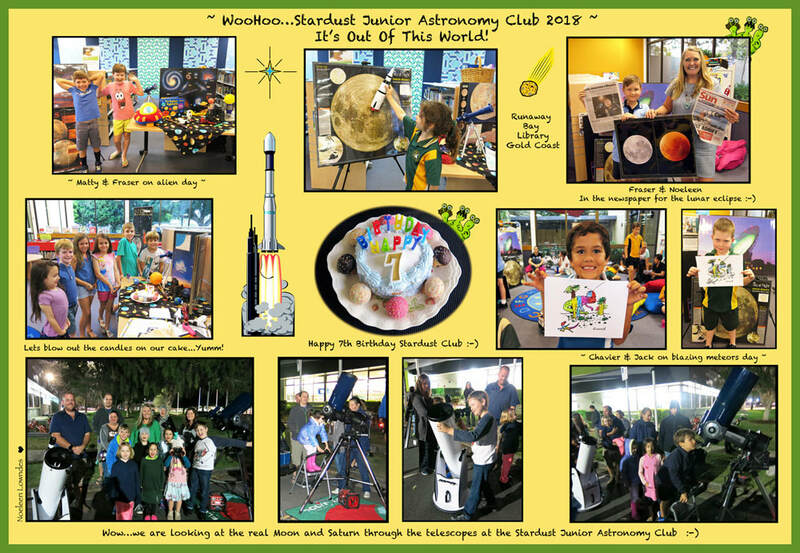 Come join us as we launch this exciting program with a family friendly morning of hands on activities, thought provoking ideas, and pop-up science workshops to celebrate the International Day of Women and Girls in Science! 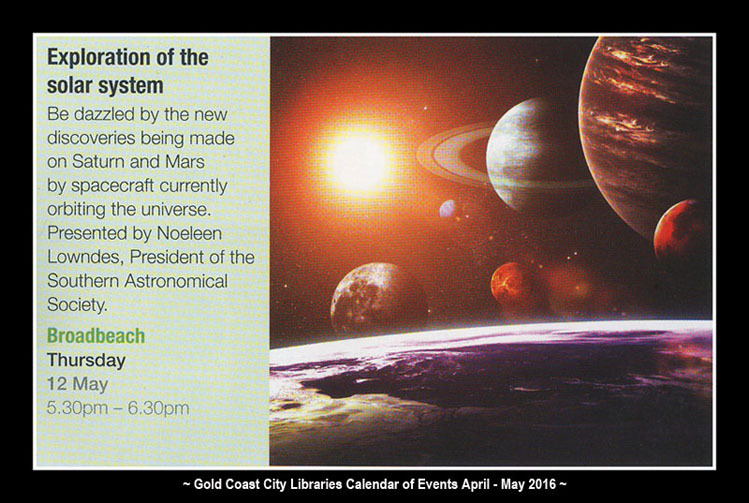 This free event will be held on Saturday 10 February, 10am to noon at our Robina Library (Auditorium). 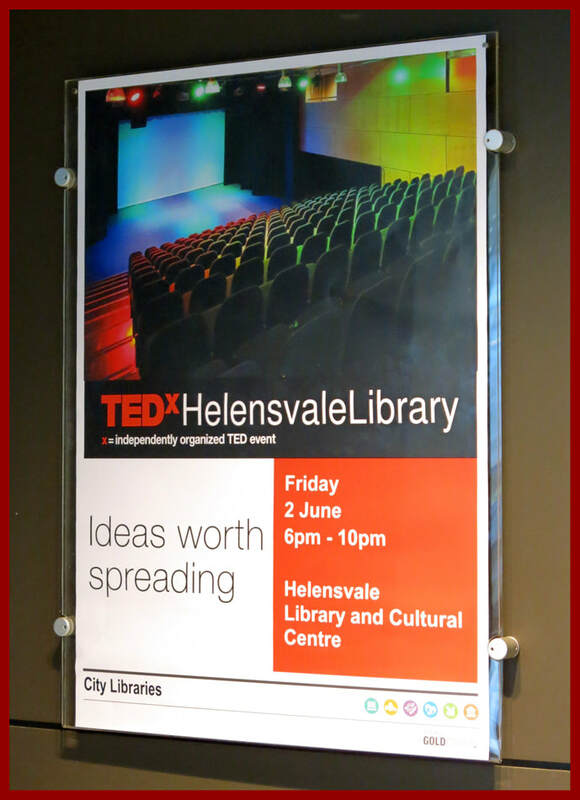 Book online now to secure a place at this event. 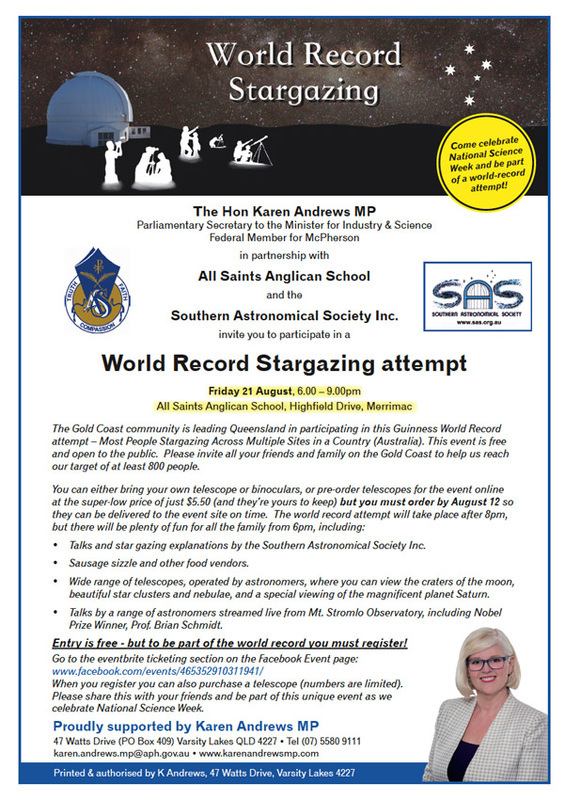 This is a great opportunity for girls to connect with great female science minds and role models at exciting hands on workshops. 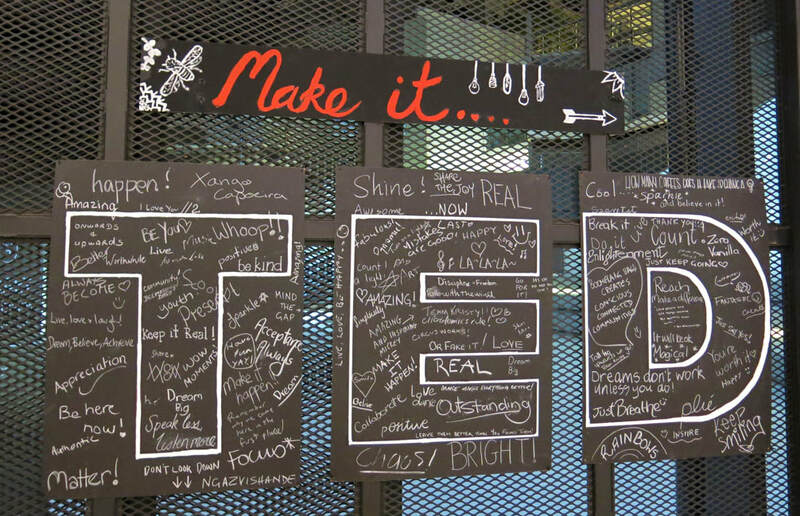 STEAM (science, technology, engineering, arts and mathematics) programs, where you can engage with new technologies, get creative and innovative, and learn about interesting topics from the vast realm of science. 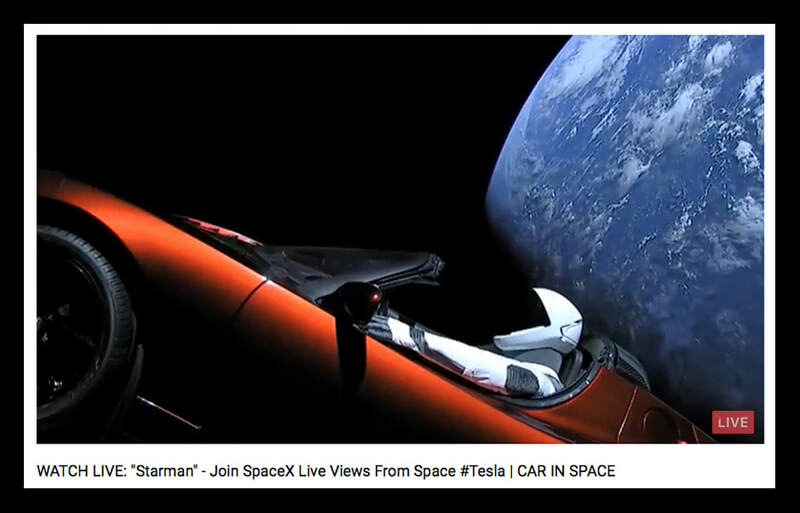 Screen shot taken from 'Starman' YouTube video...quite unbelievable!!! Please go to the SpaceX website link below where you can watch a replay of the test flight, as well as a replay of the live view of Starman in orbit. ​NASA's InSight lander will be carrying several science instruments -- along with hundreds of thousands of names from members of the public. 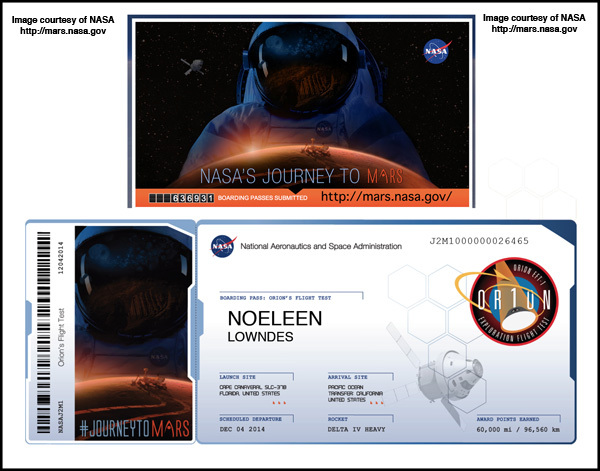 An example of a "boarding pass" that members of the public can download by participating in NASA's Frequent Fliers program. With each NASA mission that flies their names, individuals can accumulate "miles" on their boarding pass. 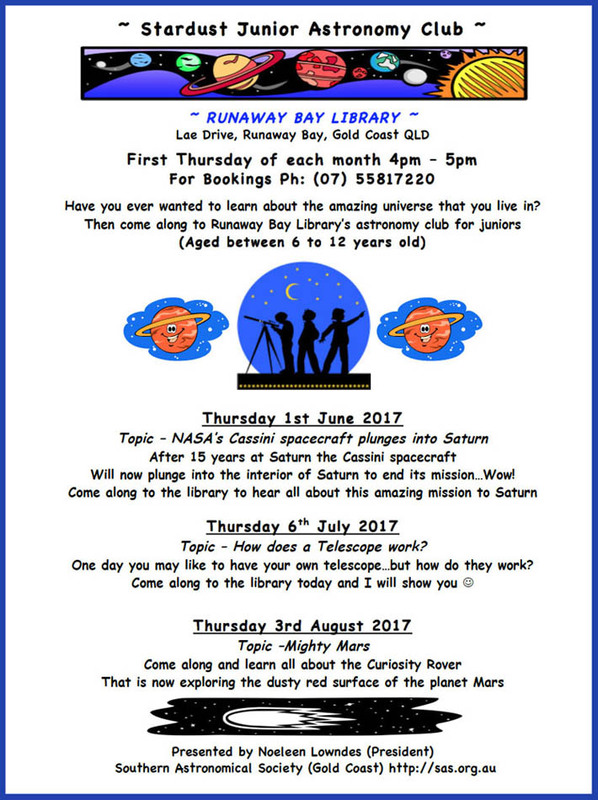 ​Calling all Luna-lovers, come along and enjoy an evening looking at our closest celestial neighbour with members from the SAS. 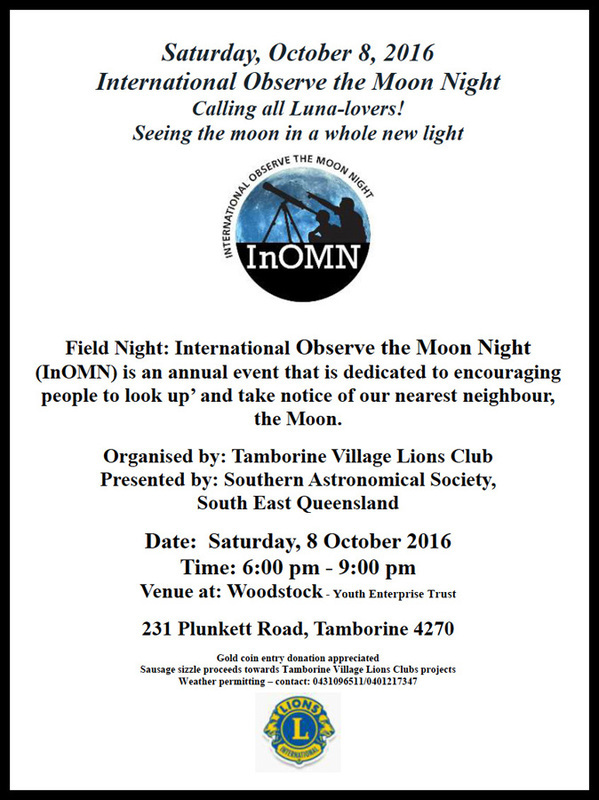 This InOMN event is an annual event that is dedicated to encouraging people to look up and take notice of our nearest neighbour, the Moon. 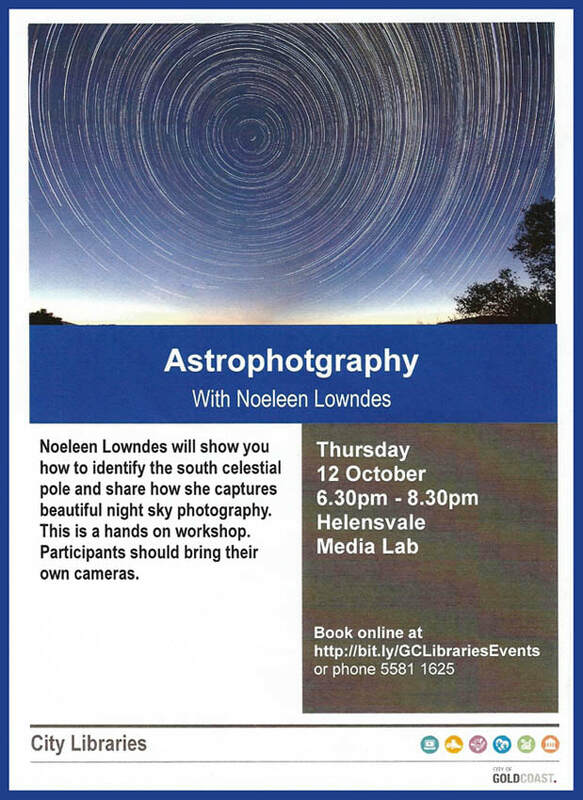 Learn how to identify the south celestial pole and capture beautiful night sky photography. Bring a camera with wide-angle lens, tripod and a remote shutter release cord for bulb mode. 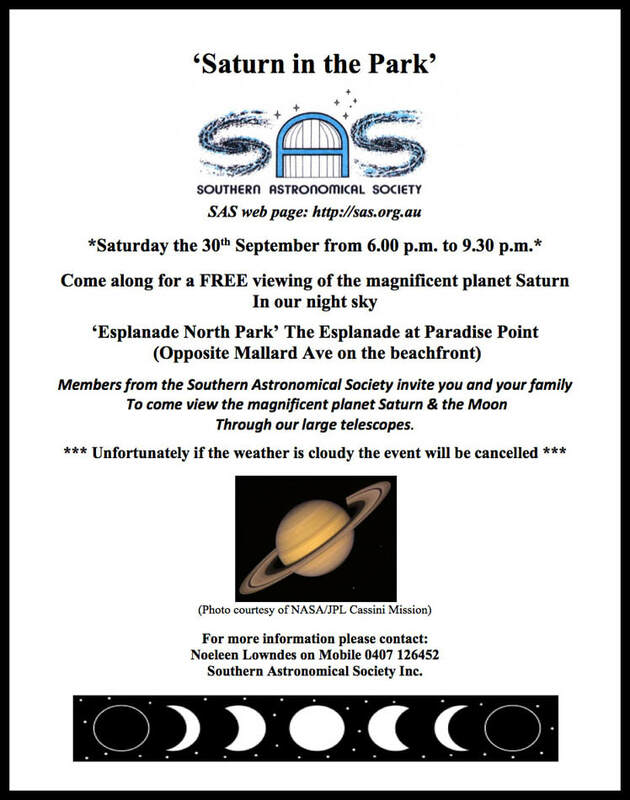 Invite you and your family to a viewing of the magnificent planet Saturn and the Moon through our large telescopes. 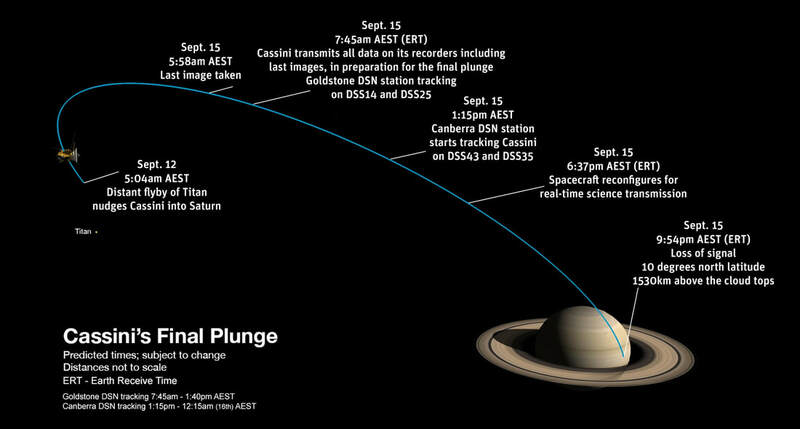 Date: Saturday the 30th September from 6.00 p.m. to 9.30 p.m.
Cassini plunged into Saturn's atmosphere and disintegrated about 3:31 a.m. PDT (7:31 a.m. EDT) (AEST) 9.55pm on Sept. 15, 2017. 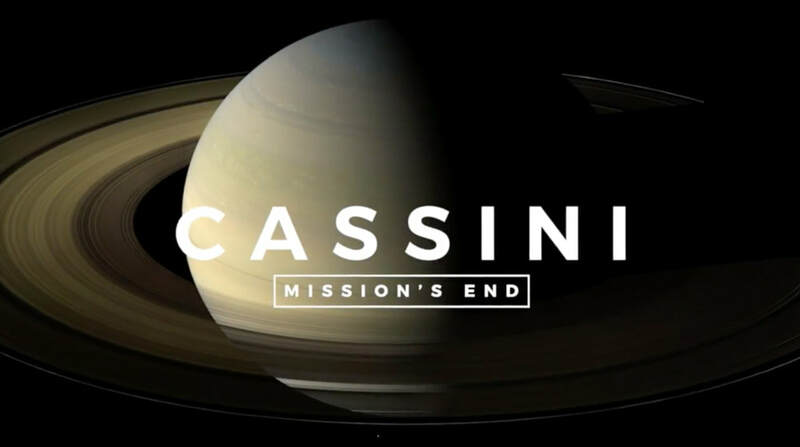 Last images from the Cassini Spacecraft are now being received! 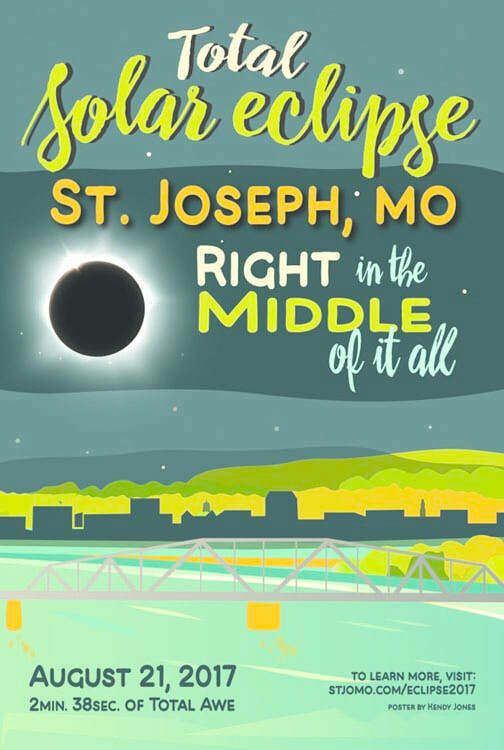 This is where we will be for the Total Eclipse of the Sun at St Joseph in Missouri. 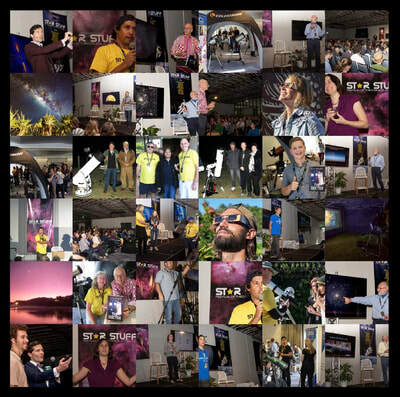 to not only witness the eclipse but to visit many of the NASA space centres and observatories. Wish us good luck with the weather, but there will be one thing that I’ll be sure of…it will be an incredible experience no matter what happens!!! This total eclipse of the Sun will not be seen in Australia as the path of totality (the Moons shadow) runs right across main land America. 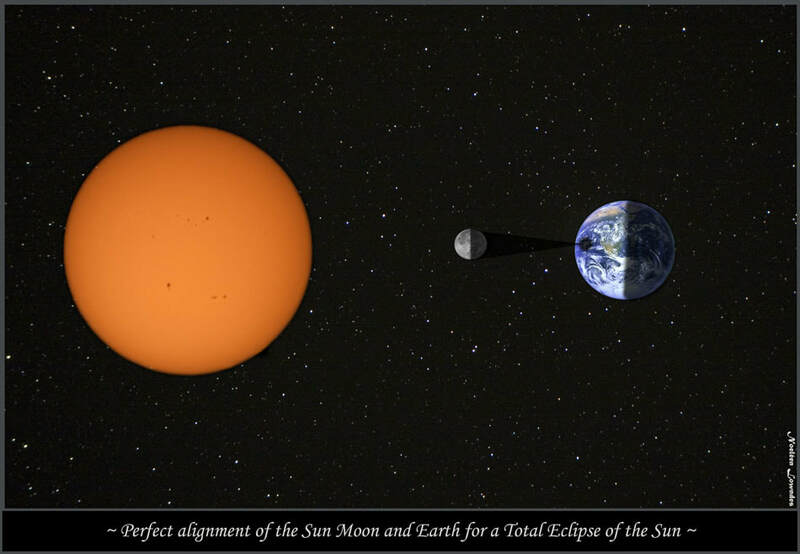 If your excited to see a lovely partial eclipse of the Moon, you’ll need to wake up in the early hours of the morning on the 8th August and look to the western sky, there you will see a portion of the full Moon in the Earths shadow. 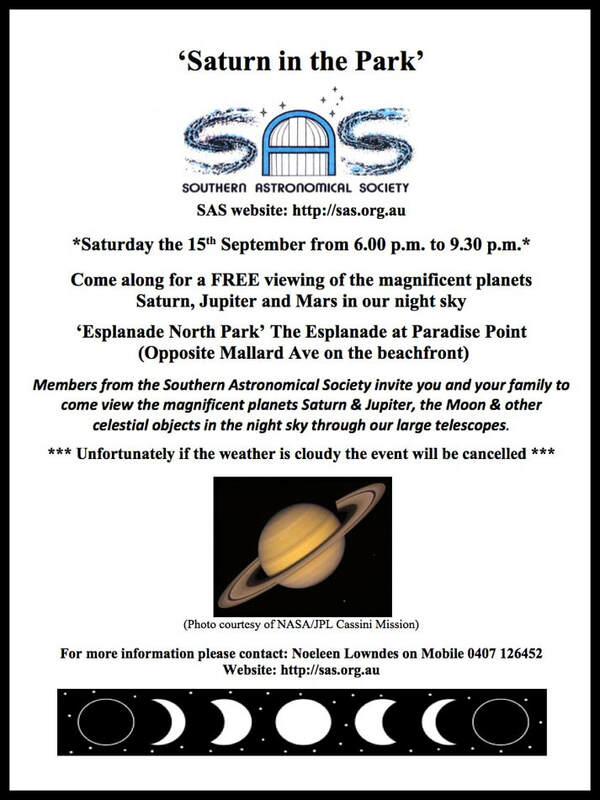 Going by these times, the best time to view the event will be from 3.30 – 4.45 am if you don't want to view the whole event. 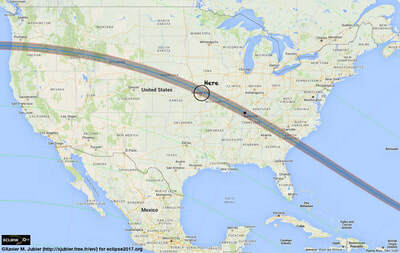 You will see the southern quarter of the Moon immersed in the umbral shadow. ​exposure time was 1/60th second and ISO100. 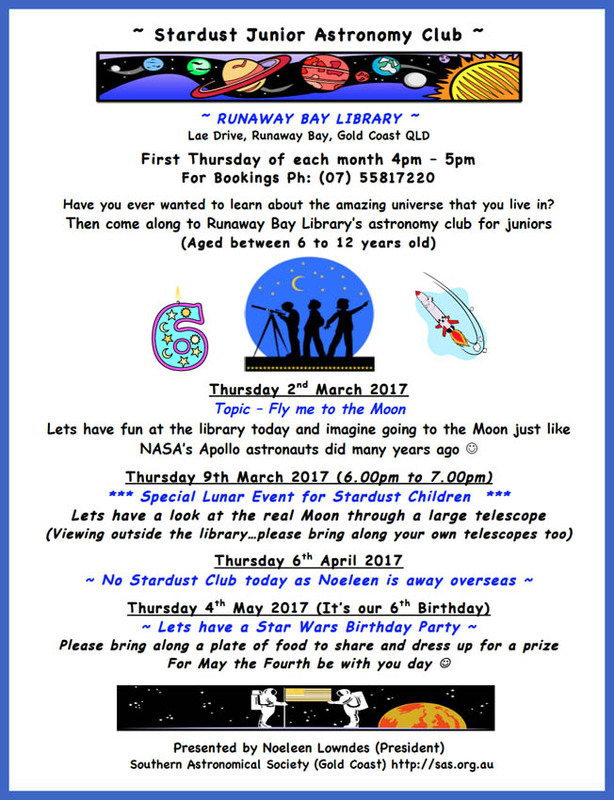 Well the Star Stuff event is nearly here! 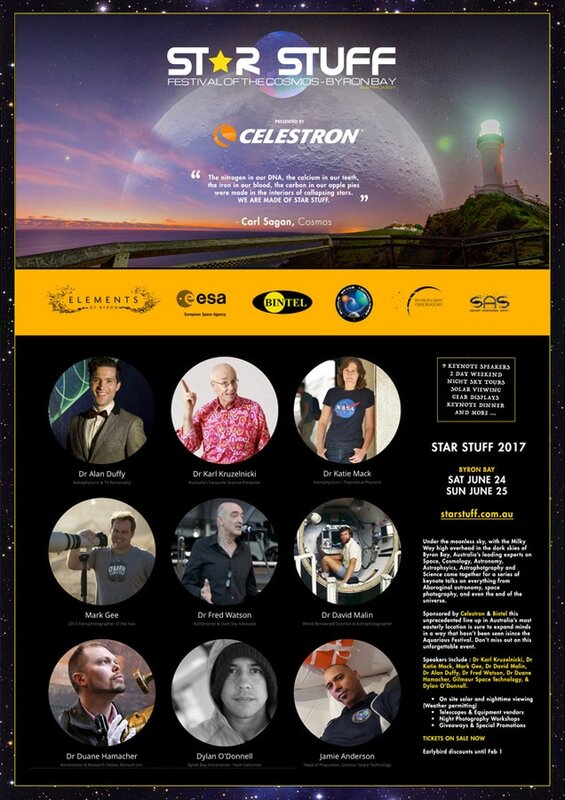 Come along for a wonderful weekend of astronomy and space…don't forget to get your tickets at: https://starstuff.com.au and view all the incredible speakers that will be there to enrich your knowledge of the universe. 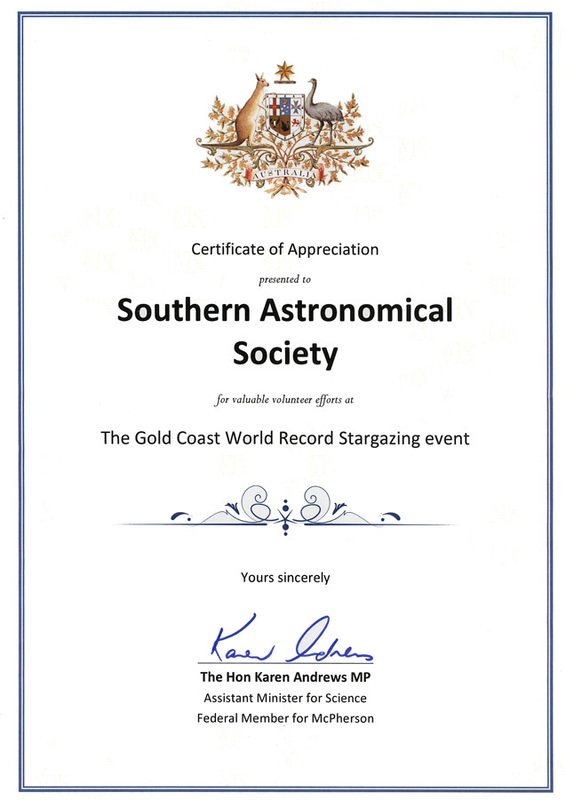 This event is fully supported by members from the Southern Astronomical Society from the Gold Coast in QLD. 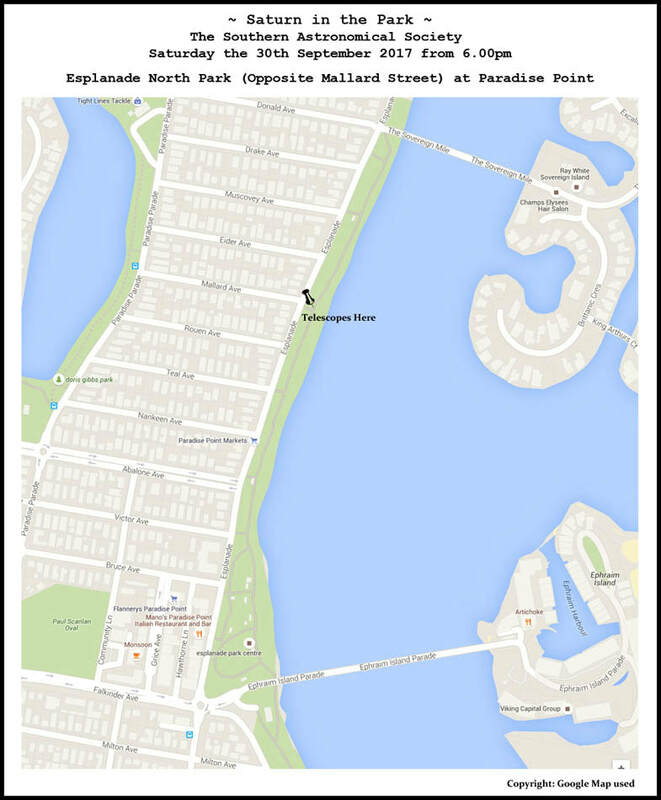 SAS get-together at QLD Museum in Brisbane Saturday afternoon 22nd April at 1.30pm. 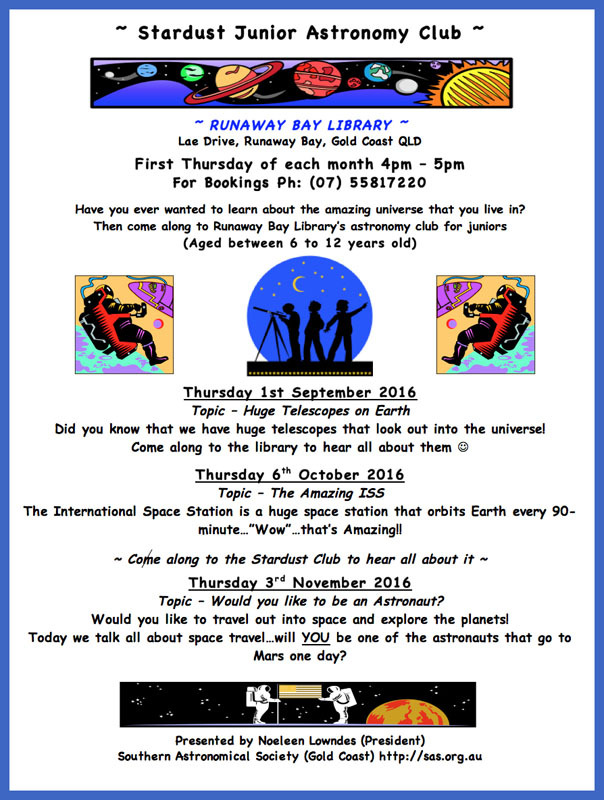 There will be three close encounters with our nearest celestial neighbour on the 16th October, the 14th November and the 14th December in 2016. The Moon’s orbit around the Earth is not quite a circle but more like a squashed circle called an ellipse. This means that sometimes a full Moon will be closer to Earth called (Perigee) or further away called (Apogee) at full Moon. The closest of these three Super Moons will be on the 14th November and the Moon will be at only 356,520 kilometres away from Earth. So if you can take some pictures of it rising with reference to some buildings or trees it should look spectacular. Also, if you are near a body of water like a lake or ocean the moonlight will look stunning …like a stairway to the Moon. 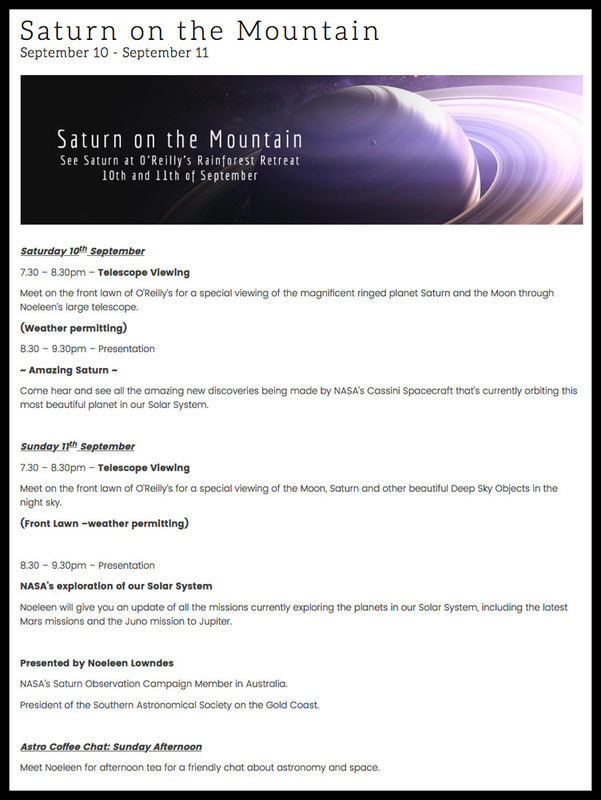 I’ll be giving talks on this incredible mission to Saturn by the Cassini Spacecraft and showing everyone the real planet Saturn in the night sky with my large telescope. 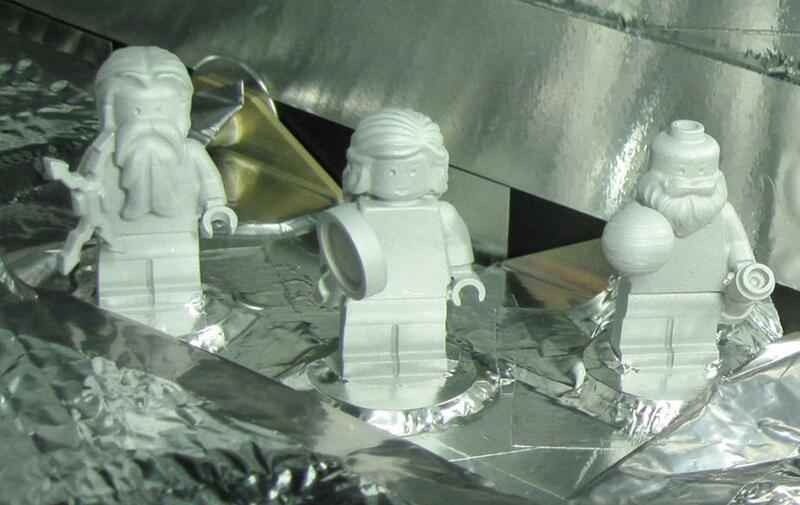 ​NASA's Jupiter-bound Juno spacecraft will carry the 1.5-inch likeness of Galileo Galilei, the Roman god Jupiter and his wife Juno to Jupiter when the spacecraft launches this Friday, Aug. 5. 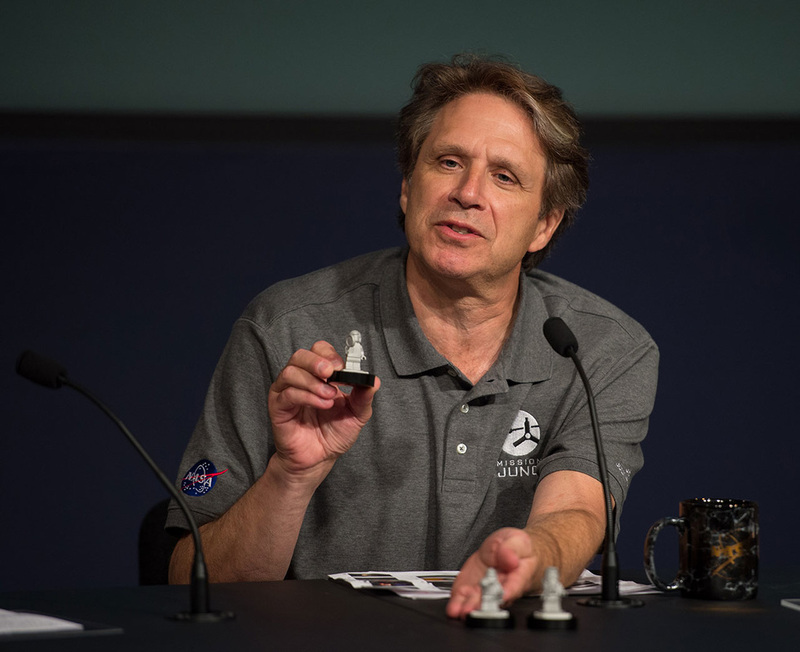 The inclusion of the three mini-statues, or figurines, is part of a joint outreach and educational program developed as part of the partnership between NASA and the LEGO Group to inspire children to explore science, technology, engineering and mathematics. 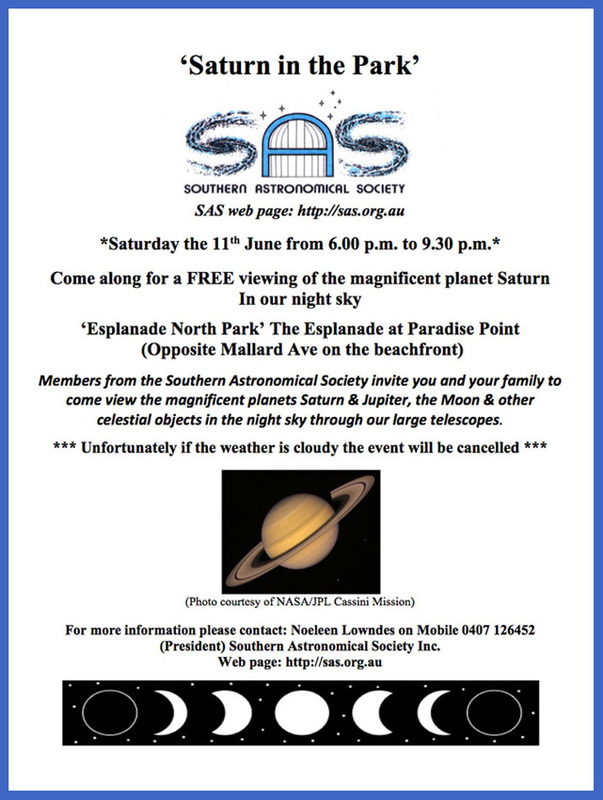 *Saturday the 11th June from 6.00 p.m. to 9.30 p.m.
Members from the Southern Astronomical Society invite you and your family to come view the magnificent planets Saturn & Jupiter, the Moon & other celestial objects in the night sky through our large telescopes. 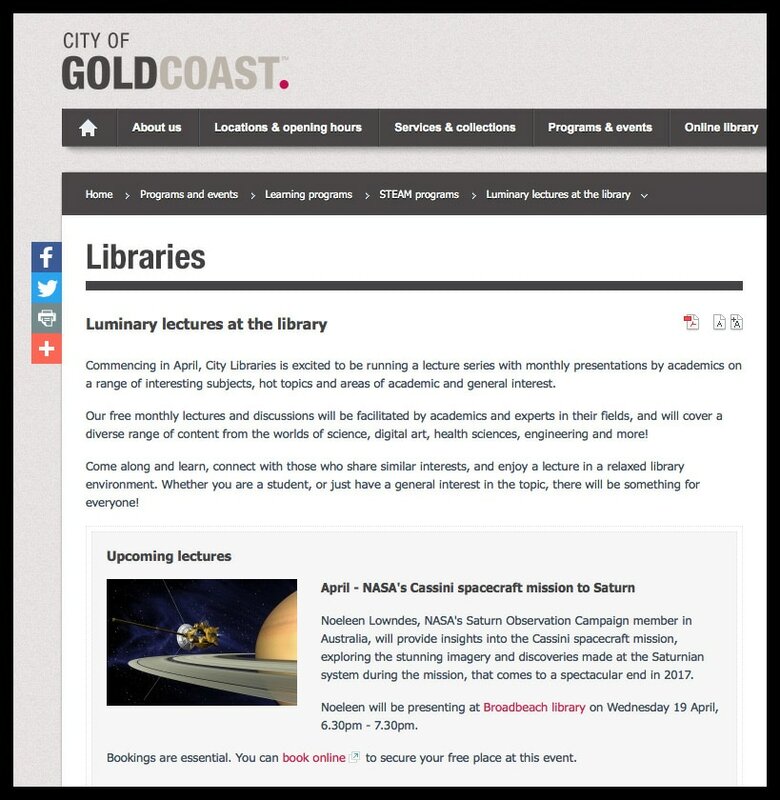 Come along to the Broadbeach Library and hear all about the new discoveries being at the magnificent planet Saturn by NASA’s Cassini spacecraft whichis currently in orbit about Saturn. 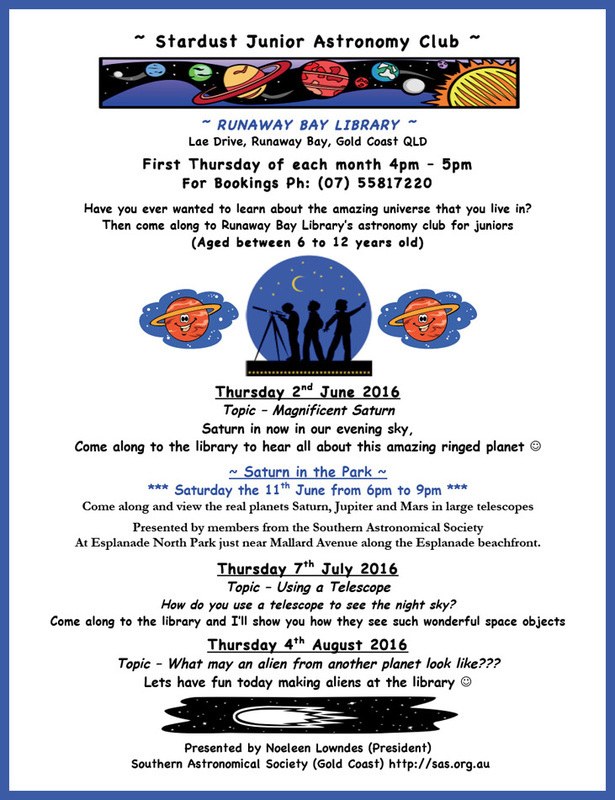 Also hear and see all the other new discoveries being made at the other planets in our Solar System. 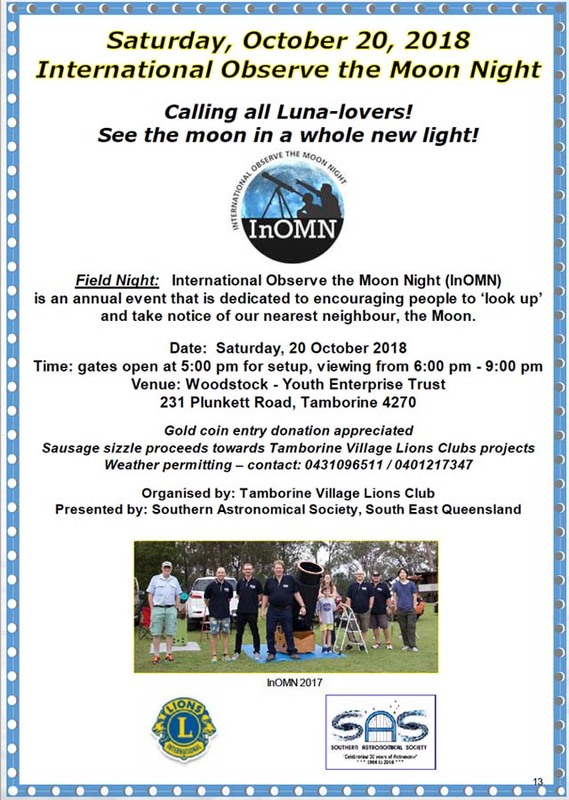 Come along to the top of the mountain in the beautiful Gold Coast Hinterland and enjoy a wonderful weekend of lunar presentations including viewings of our Moon and Saturn through a large telescope. 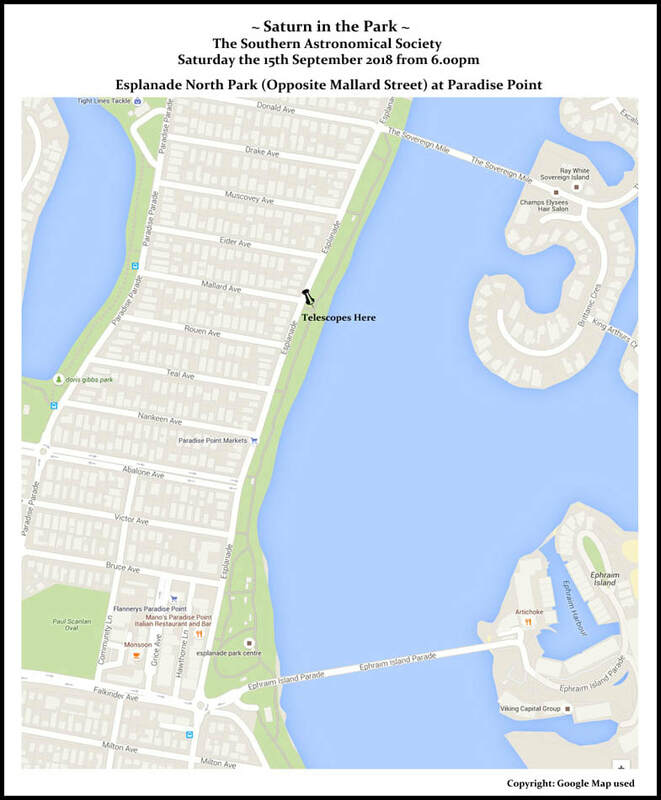 On Friday the 18th and Saturday the 19th September 2015, free for all guests and the community of Lamington National Park. Annette and Alden Tombaugh, the children of Clyde Tombaugh, remember their father and his discovery of Pluto. 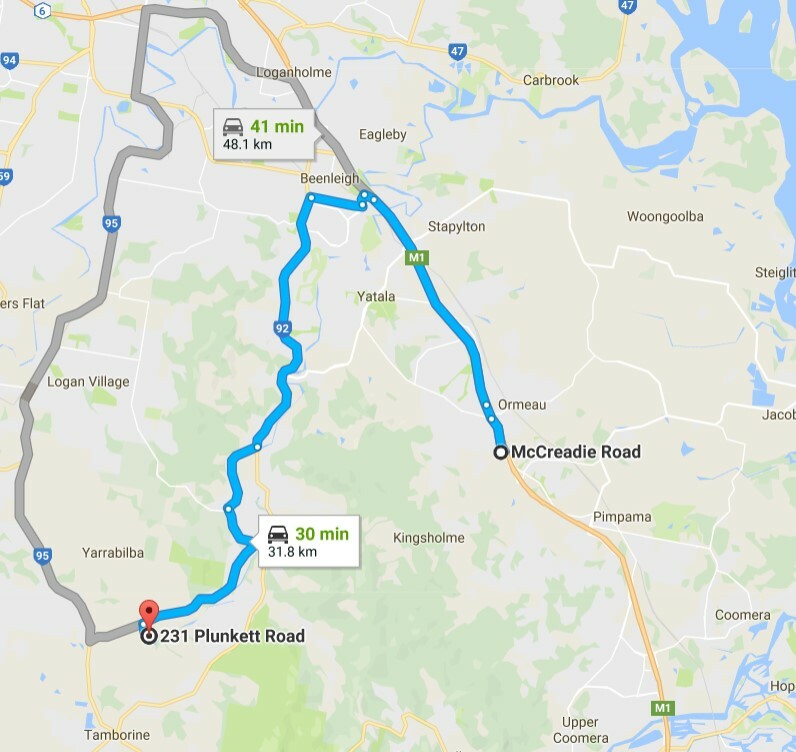 This is the first total eclipse of the Moon for the year, and it’s fully visible across eastern Australia, especially here on the Gold Coast. 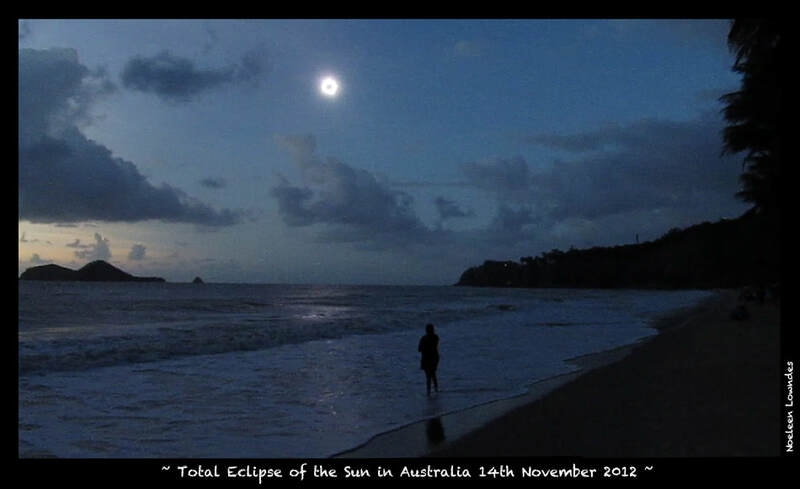 As you go west across Australia, the eclipse will have begun in twilight. 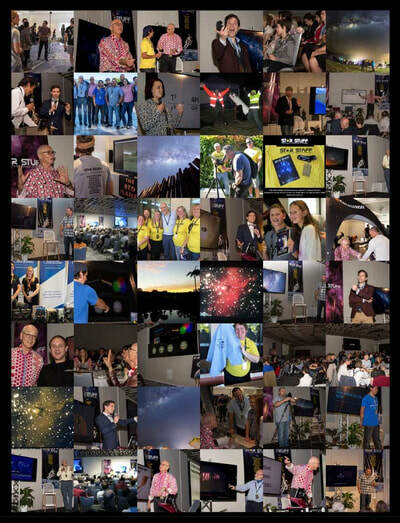 For you to enjoy the event you’ll only need to have a clear eastern to northern horizon, and you don’t need any fancy equipment to thoroughly enjoy this wonderful astronomical event. 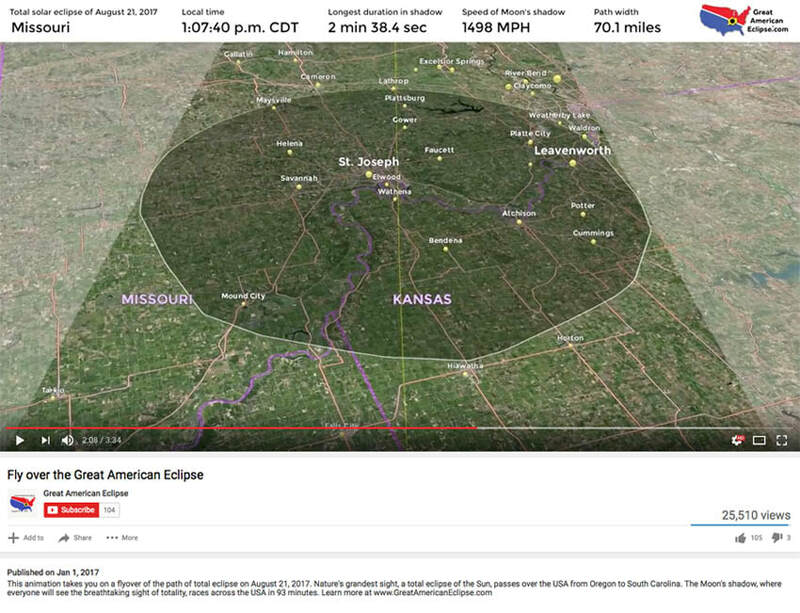 You can simply view the eclipse with your eyes or better still use a pair of binoculars, if you have a telescope than that’s even better, but it’s not a necessity. 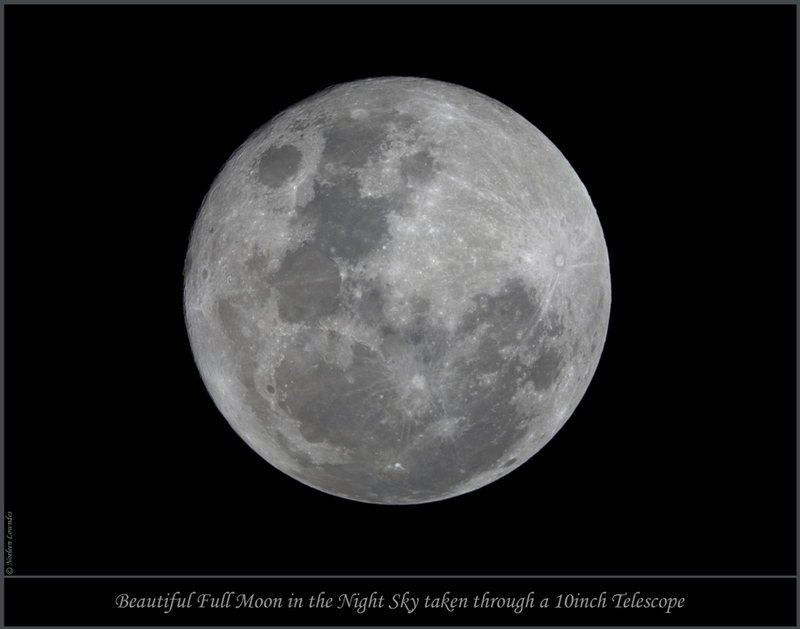 If your taking images, you can use your longest telephoto lens with your camera on a tripod, you’ll only need to take short exposures when the Moon is very bright in the early stages, but at full eclipse be prepared to take exposures for a few seconds, as there’s very little light on the surface of the Moon. 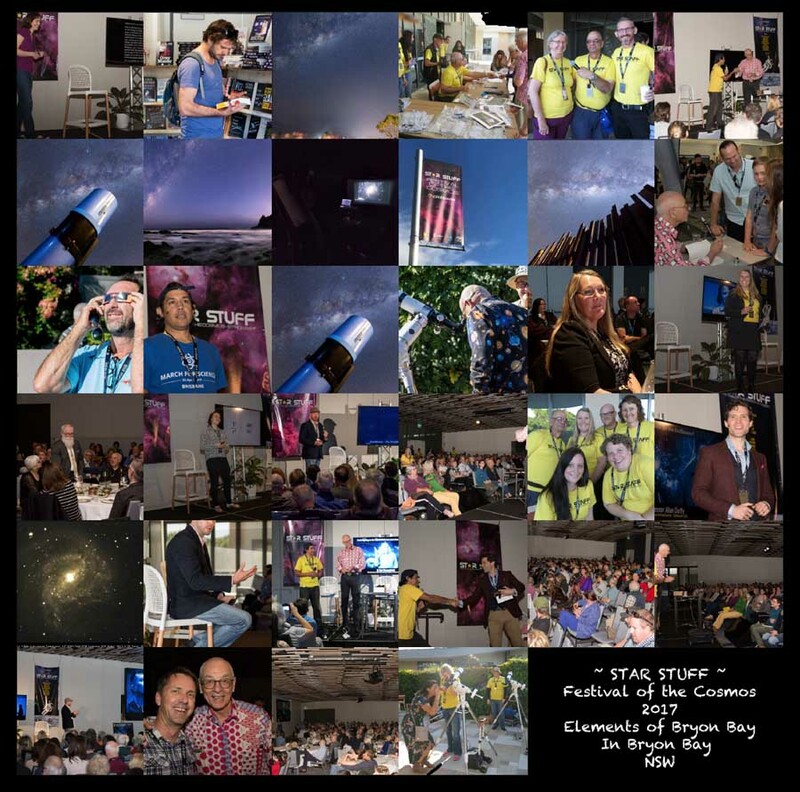 The following information is from Astronomy 2015 published by Quasar Publishing and many astronomers use this publication every day for there astronomical times and information. 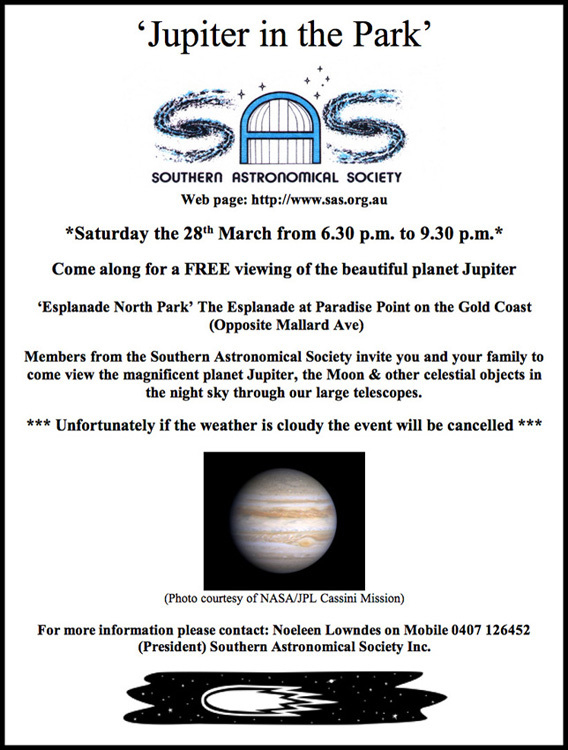 Members from the Southern Astronomical Society invite you and your family to come view the magnificent planet Jupiter, the Moon & other celestial objects in the night sky through our large telescopes. 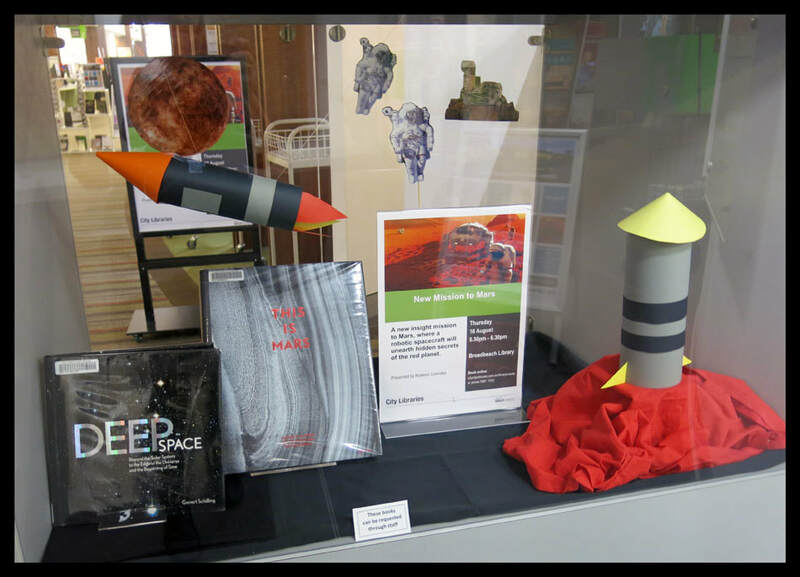 NASA’s doing it again, inviting the public to be part of all the excitement on the next space mission to the incredible red planet Mars. I can’t believe that over 1 million earthlings have now registered since I first register a few weeks ago…. Amazing!!! 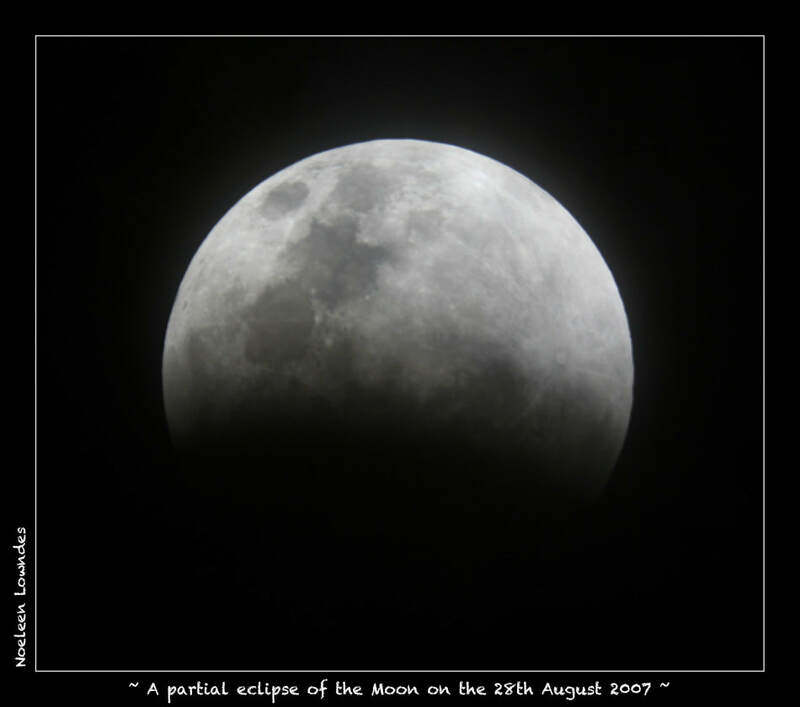 This is our second lunar eclipse for the year here in Australia, but unlike the last eclipse seen in April when the Moon was fully eclipsed at Moonrise this time we’ll see the whole eclipse above the horizon. Please read more on my latest blog. 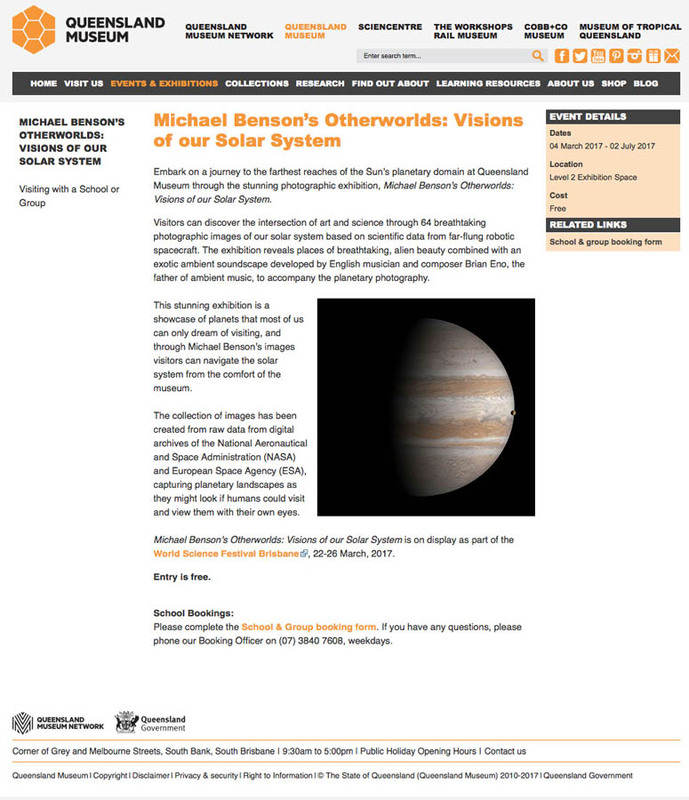 The following information is from Astronomy 2014 published by Quasar Publishing and we astronomers use it every day for our astronomical times and information. 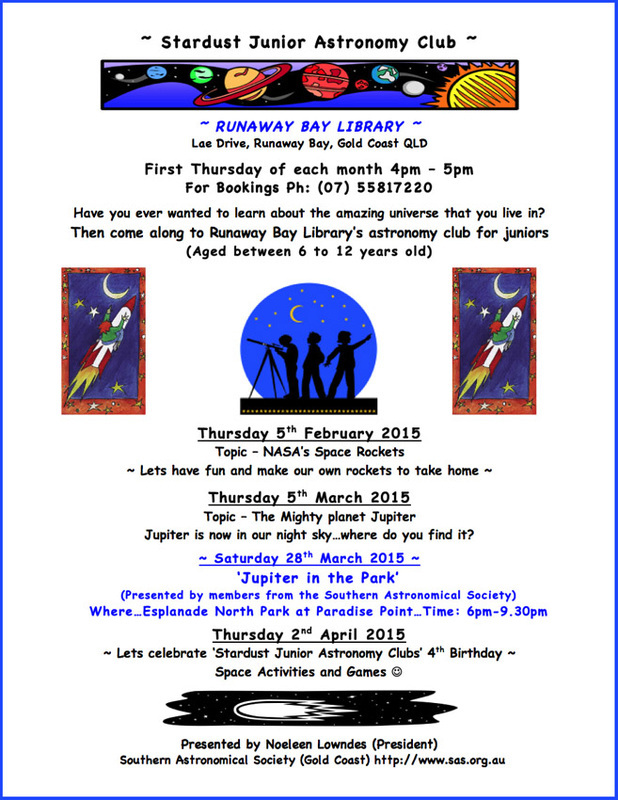 Come along to the top the mountain in the beautiful Gold Coast Hinterland for a wonderful weekend full of lunar presentations and viewings of our Moon and Saturn through a large telescope. 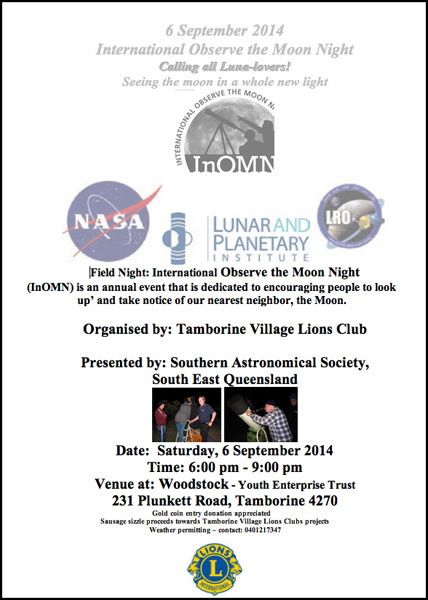 On Friday the 5th and Saturday the 6th September 2014, free for all guests and the community of Lamington National Park.